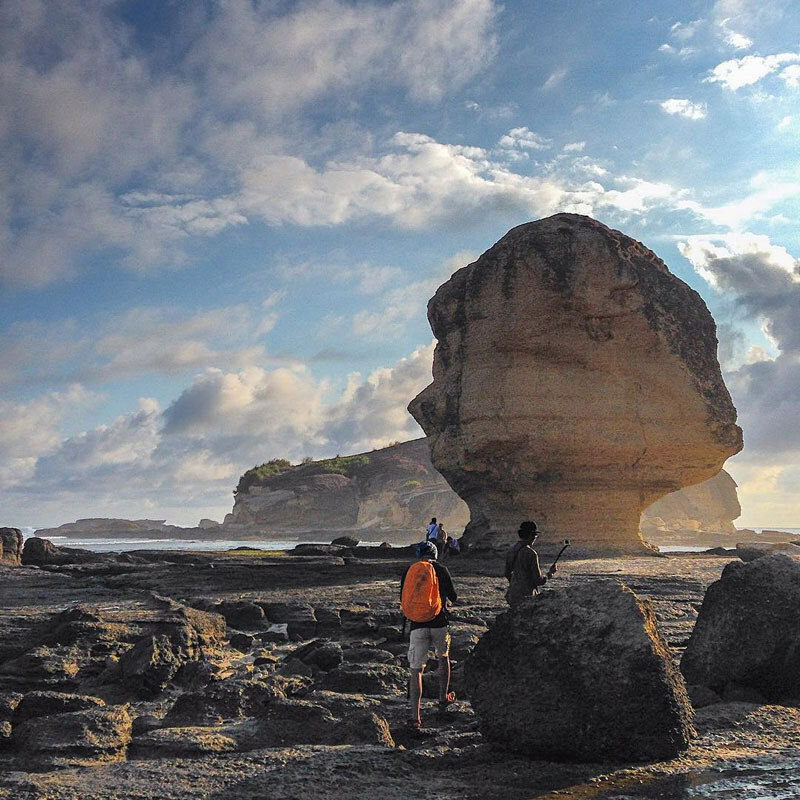 Indonesia > Lombok > 20 Hidden natural attractions in Lombok you can discover on your next adventure! 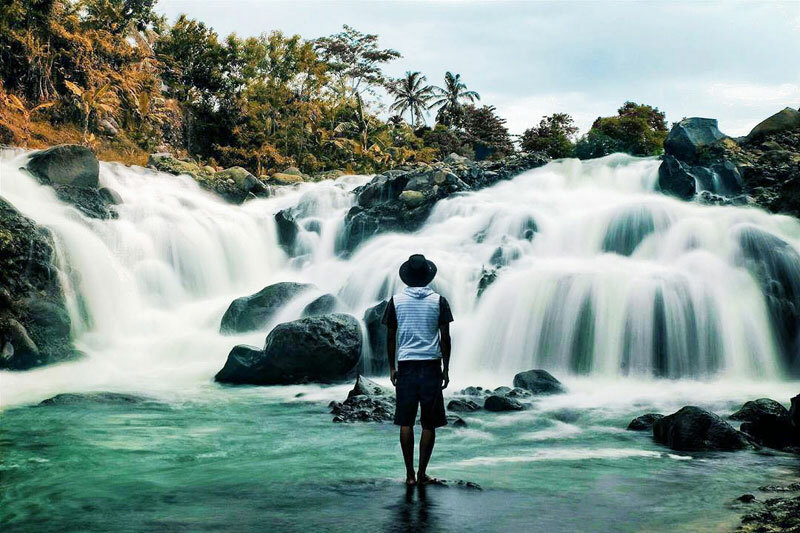 Often regarded as “the unspoiled twin of Bali” with its pristine beaches, hidden waterfalls and preserved indigenous villages, Lombok is a delightful place to unwind in, especially if myriad tourists in Bali make you woozy. 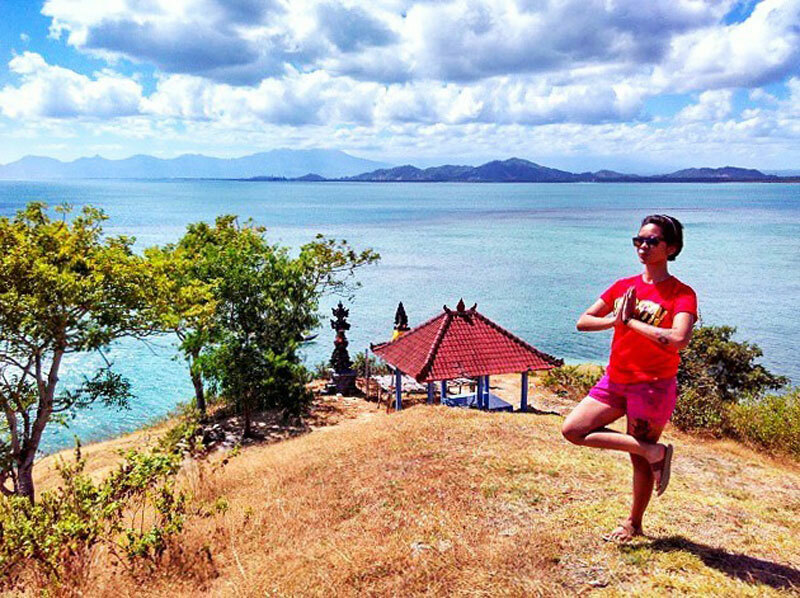 We all look for solitude at some point in our lives and these hidden attractions in Lombok promise every bit of it. 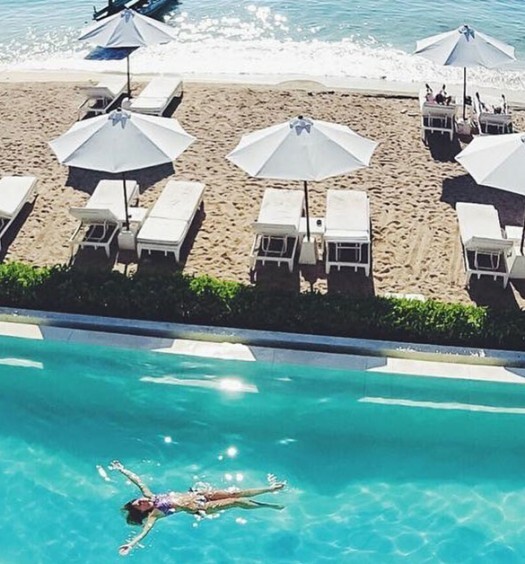 Ditch the regular tourist routes, and try these out for a change – you won’t regret it. 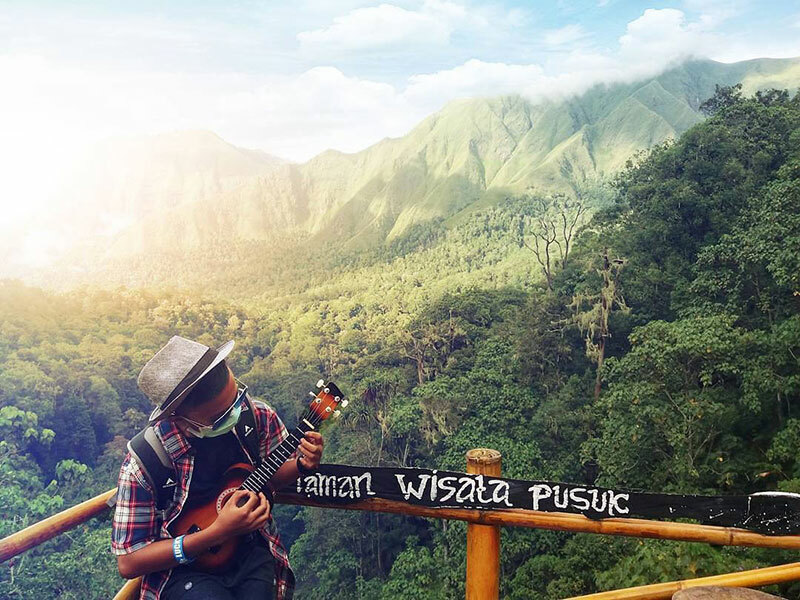 Want to see the majestic view of Mount Rinjani among the dreamy mist and clouds but don’t want to hike? 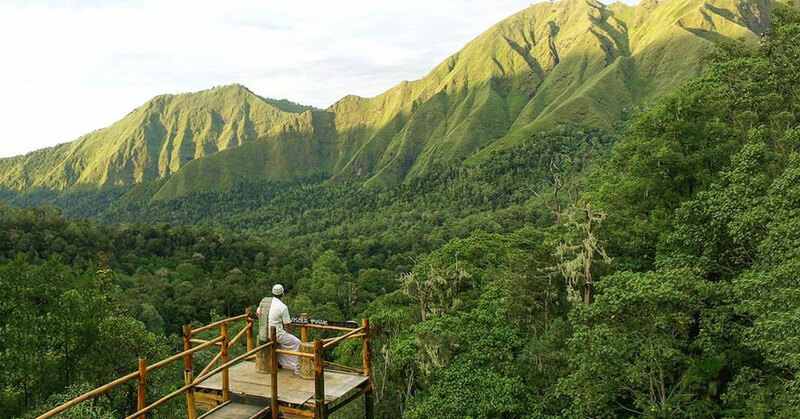 We recommend driving up to Pusuk Sembalun Tourist Park (Taman Wisata Pusuk Sembalun), where you can enjoy gorgeous unparalleled views of the mountain without much physical activity, at an altitude of 1,250 metres above sea level. Although the road up is windy, you will be treated to beautiful views of the forest, hills, rice paddies and strawberry garden along the way. Once you’re up there, you can rest and bask in the beautiful scenery from the gazebos. If you are bringing some food along to picnic, be sure to keep them away from the sneaky hands of the wild monkeys here! Getting there: The place is 2 hours from Selong city. From Selong, drive along Jalan Sultan Agung towards Jalan Pejanggik in Majidi. Then, drive along Jalan Raya Mataram – Labuan Lombok and Jalan Segara Anak to Jalan Wisata Gn. Rinjani. Continue driving up until you reach the viewpoint. Coordinates here. 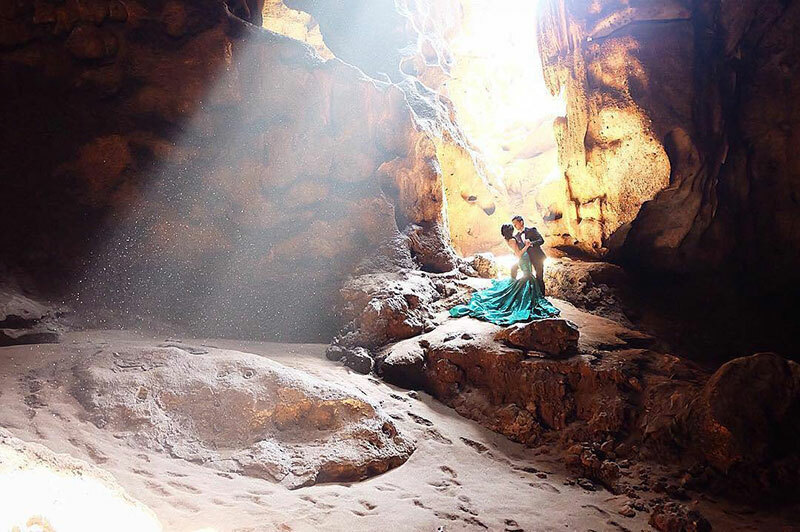 Doesn’t this look like a cave straight out of an Indiana Jones movie? 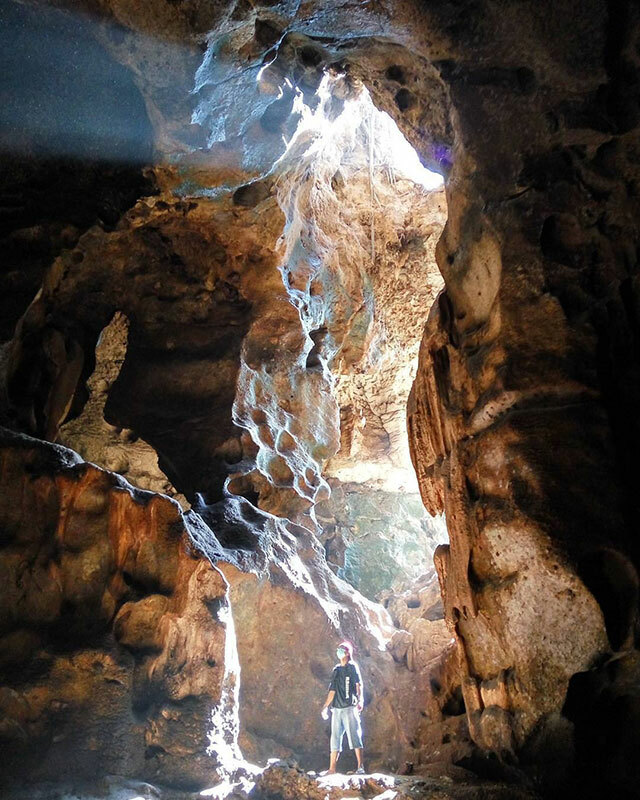 This hundred-years-old cave is located in a local village that remains unexplored by tourists. Treasures and loot are long gone, but do have your fisheye or wide-angle lens to capture valuable photos! 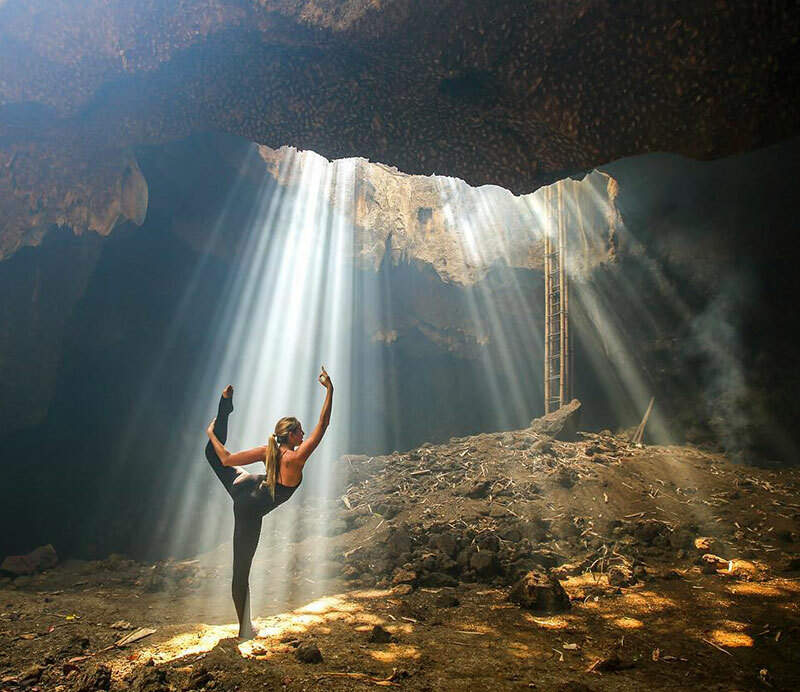 This cave is also home to thousands of bats, and best time to visit is before sunset. You can witness the spectacular occurrence of thousands of bats leaving their nest and flying out of the cave at dusk. But do open an umbrella or poncho – you won’t want to be caught in the rain of droppings! Getting there: On the road out of Kuta, a few km before the turnoff to Mawun beach, take a right at the white and red sign down a rocky track. Goa Bangkang is located below the hill. 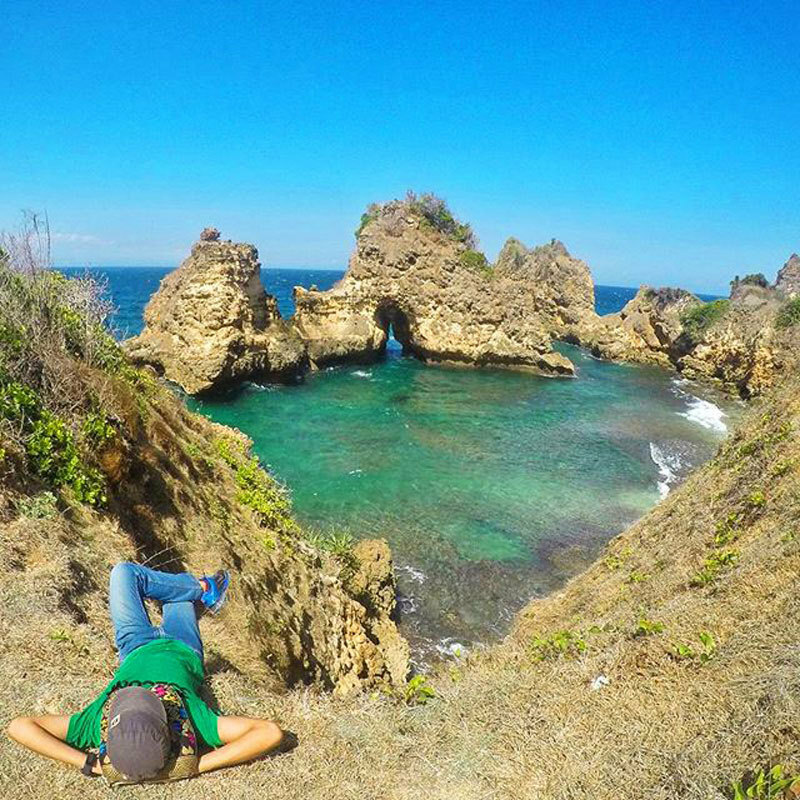 This is one of the most poetic scenery of Lombok Island. The rice paddy fields laying complementally next to each other makes them scintillating. 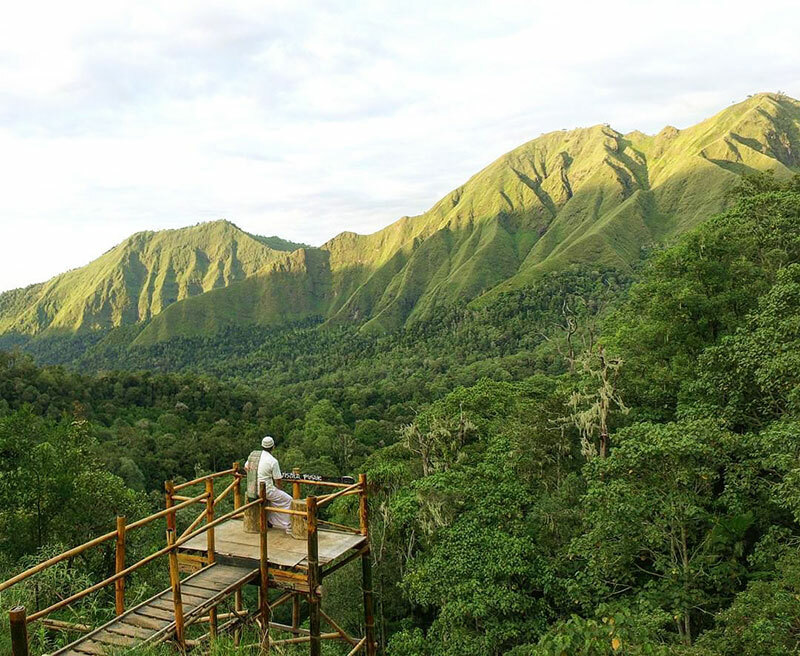 Here, you can catch a glimpse of a far stretching view with the almighty Mount Rinjani. 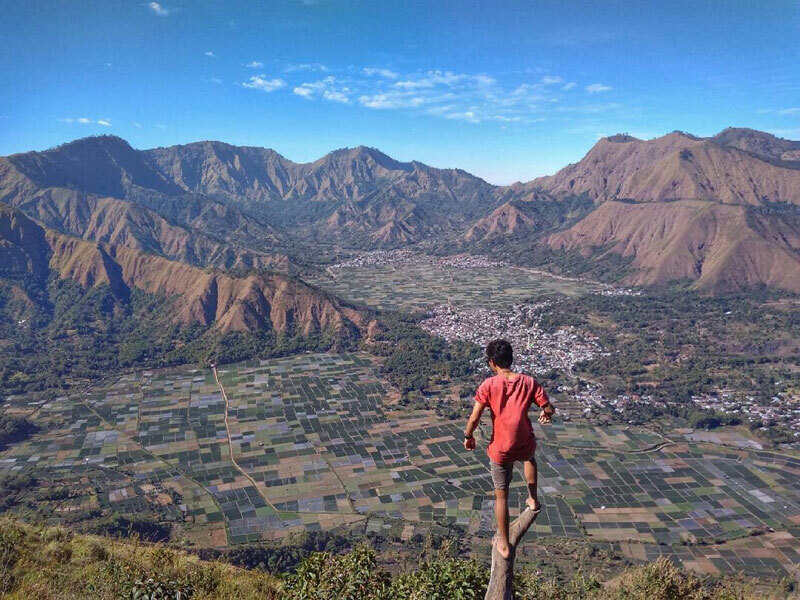 Pergasingan hill is also the alternative to hiking Mount Rinjani, with an altitude of 1700 metres above sea level and Sembalun village located at an altitude of 1100 metres above sea level. So you must conquer an altitude of about 600 metres. The hike up is around 4 hours, it will take you some effort up the hill, and some parts of the slope is almost at an angle of 70 degrees. 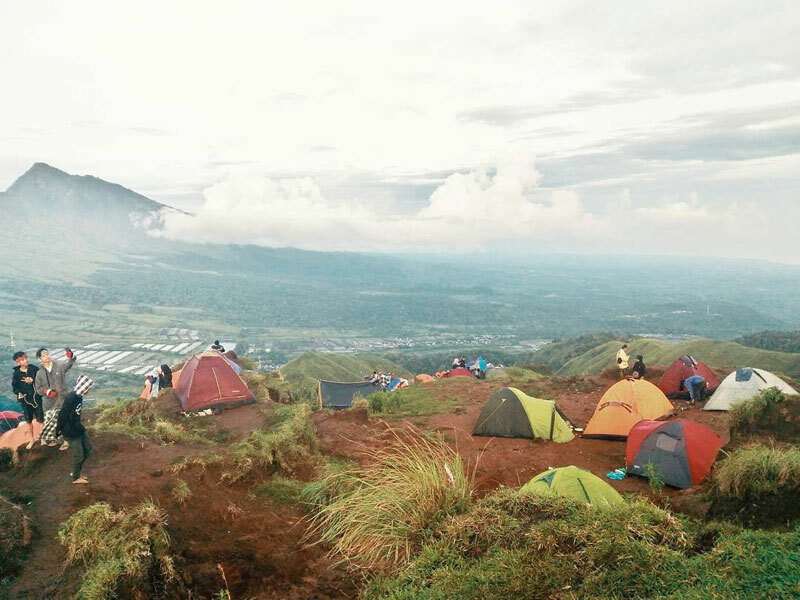 It is recommended that you camp overnight, so you can catch the magnificent sunrise behind Rinjani. You will feel like you are on another planet – Planet Krypton. The many stones here resemble the crystal box in Planet Krypton where Superman is born, hence it is also called Krypton Beach. 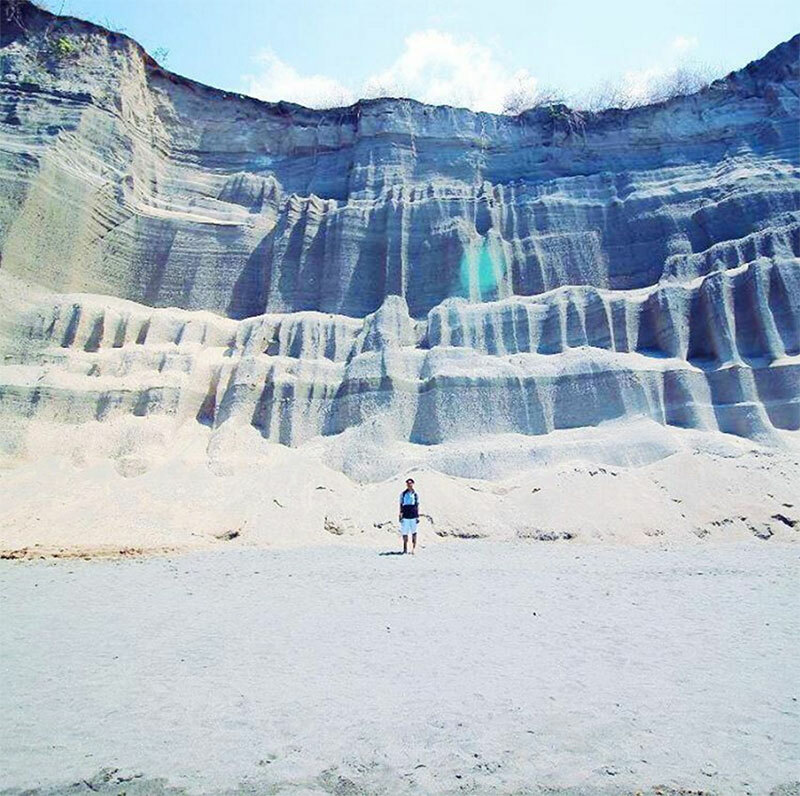 Semeti Beach has rocks that are shaped like pyramids and stand firmly in the middle of the ocean. The path is extremely rocky and rough, so be sure to wear covered shoes that are slip-proof, as you might need to climb rocks as high as 20m to get to the other side of the rocks. 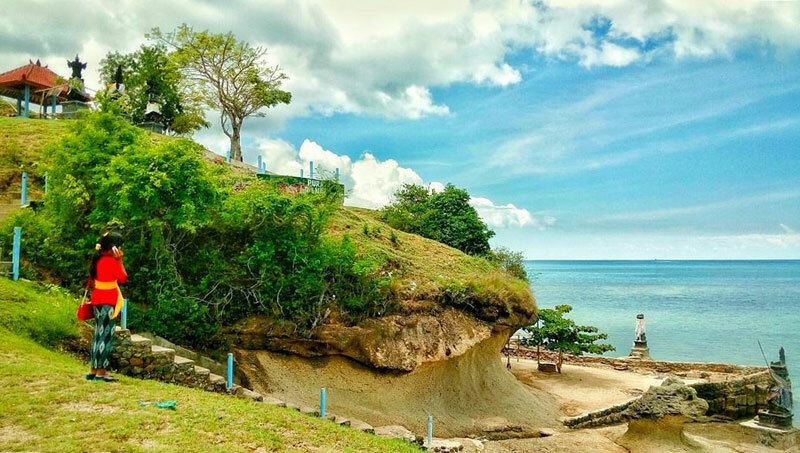 Behind the rock is where you can get the phenomenal view of Semeti Beach. 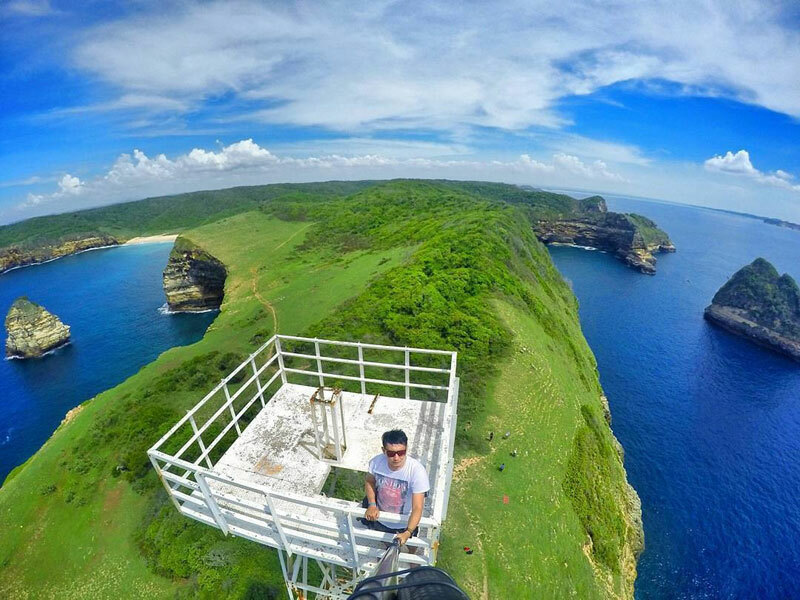 Address: Prabu, Pujut, Lombok Tengah, Nusa Tenggara Barat, Indonesia. Waterfalls have been cloaked in mystery and myth for as long as people have known about them. A natural art sculpture out of Antoni Gaudí collection – the gorge formation is impressive. 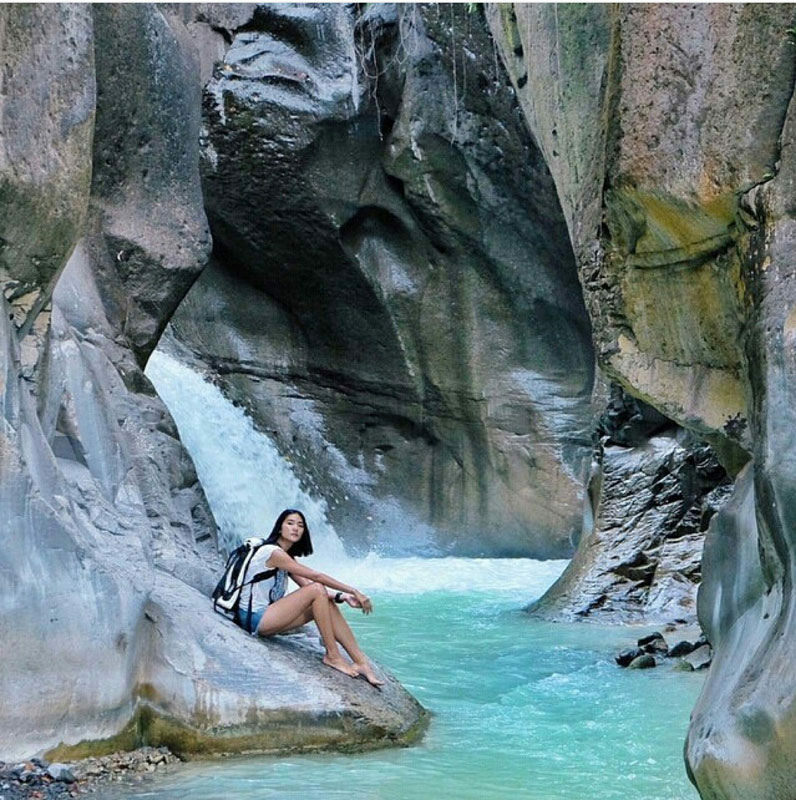 The natural erosion has carved a marble-like canyon that the water meanders gently through. 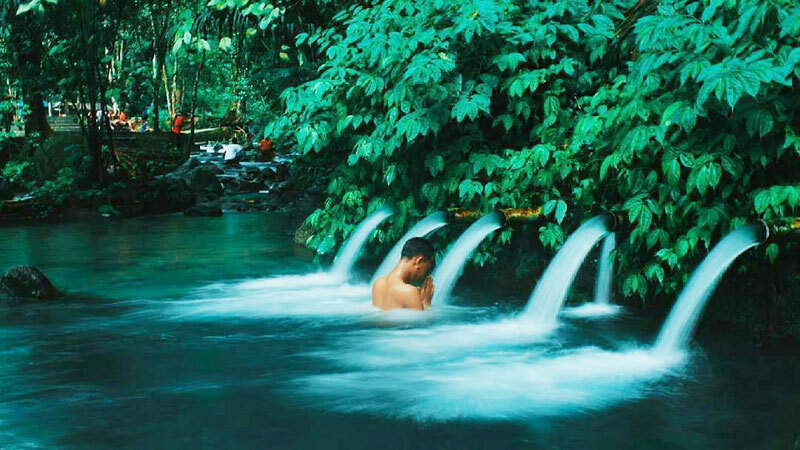 The river runs down from Lake Segara Anak (Mt Rinjani), and the water is milky because of the sulfur content and is believed to able to treat different kinds of skin diseases. 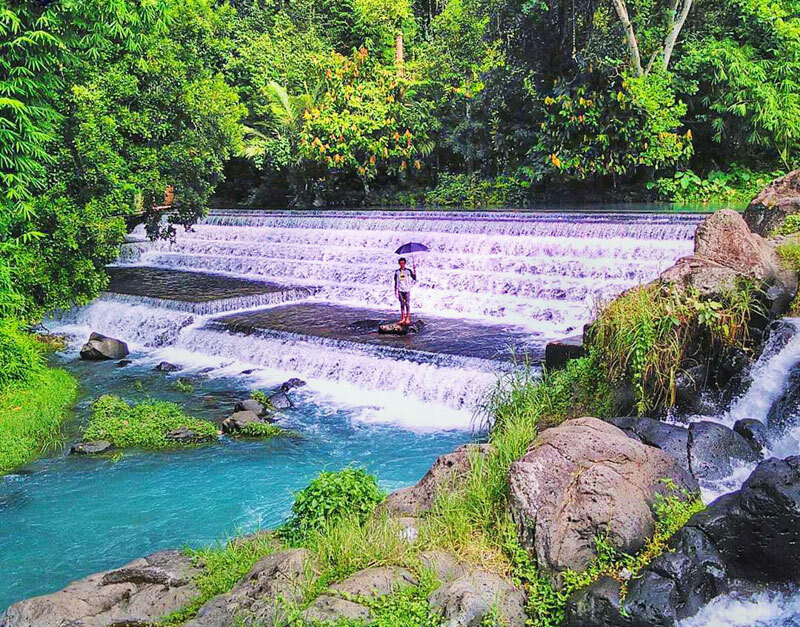 Getting there: This waterfall is located in the village Sajang, sub Sembalun, East Lombok district. It is 50 km from the Selong if you’re going by Sembalun hills. 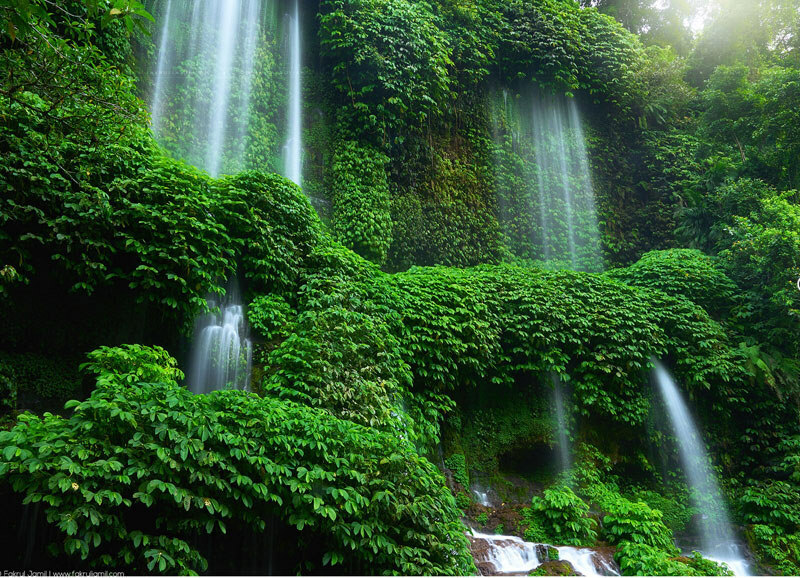 Made up of 6 ‘falls’ through the trees, similar to water curtains, that’s how Benang Kelambu waterfall got its name. It is easily accessible from the carpark but well hidden in the rice fields. 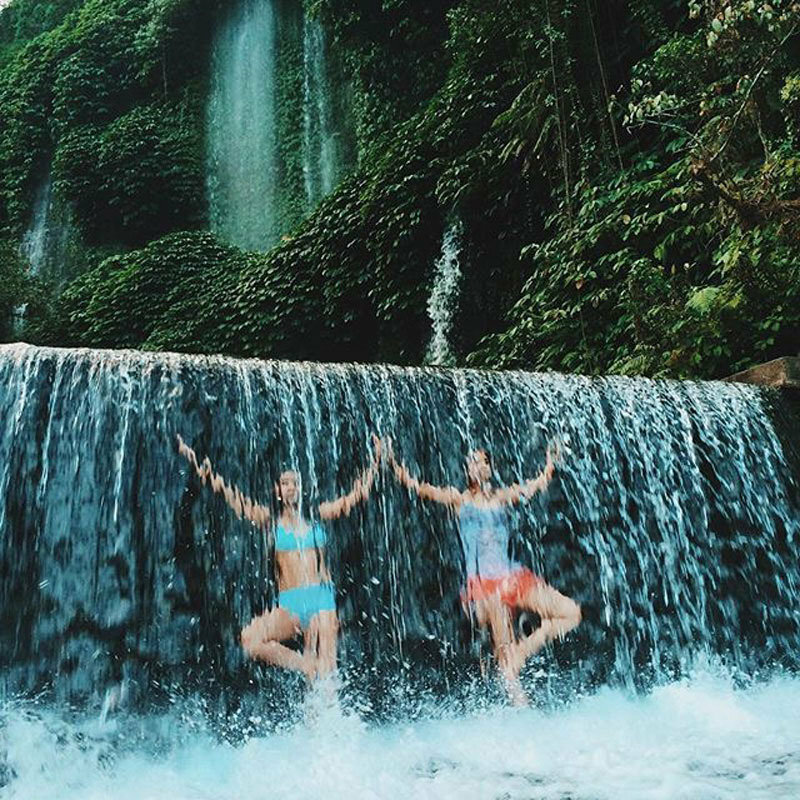 This waterfall is located at the foot of Mount Rinjani, so you can get up close and personal by going behind the water. 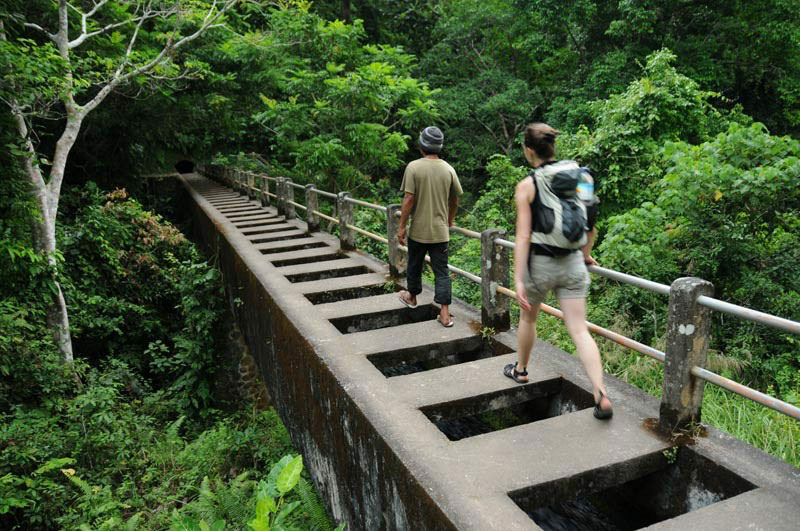 It’s a 500m mountainous walk to the waterfall, so be sure to bring water and some snacks along. 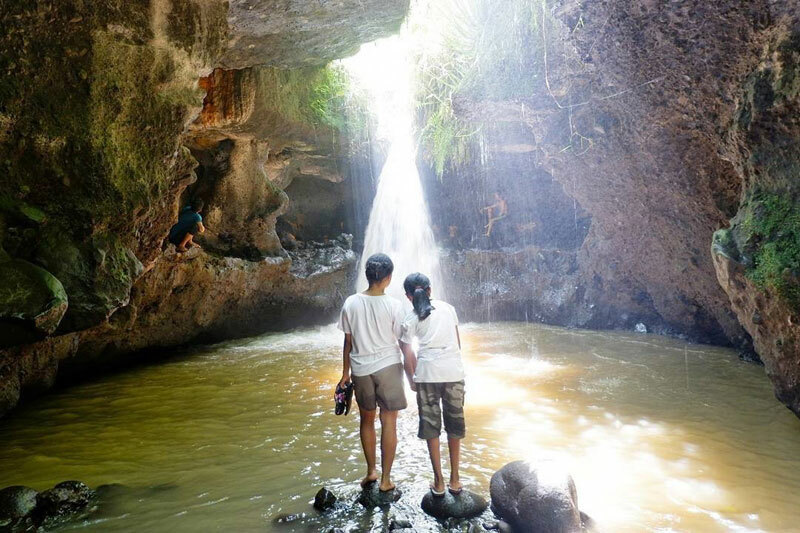 You can visit its twin waterfall, Benang Stokel, which is 1 km away. Getting there: There is no available public transport to the waterfall. Mother Nature does have her way of keeping her most beautiful attributes tucked away in remote areas, ensuring that these stunning features are preserved and kept intact as much as possible. 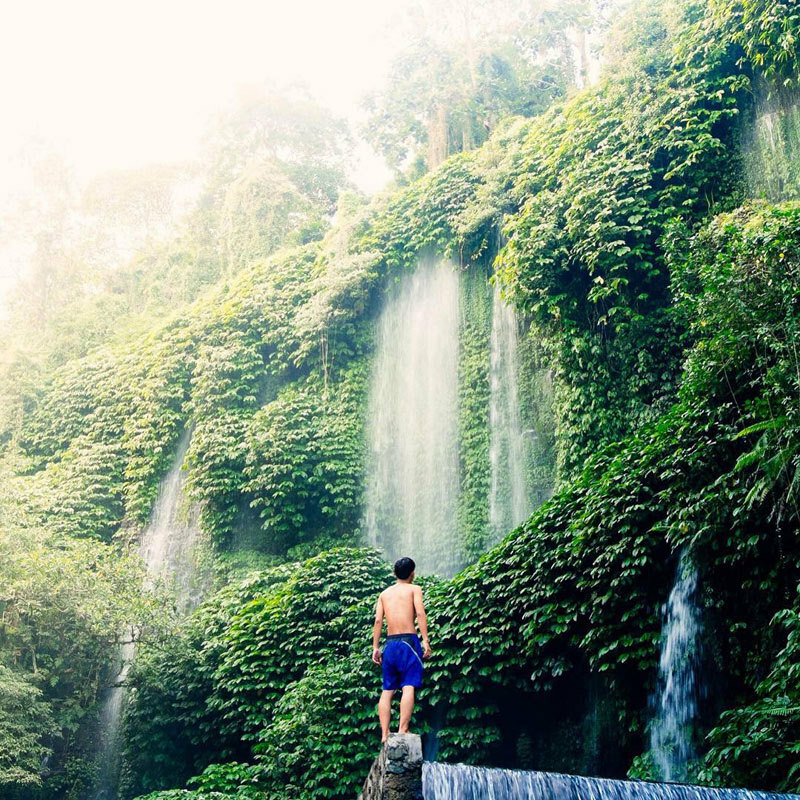 If you wish to visit Air Terjun Tiu Kelep, you need to sacrifice some effort and time, allowing at least 3 hours to journey from Mataram. The condition of the road to the waterfall is not well-conditioned, and is fraught with rocky paths, fallen tree trunks and swift currents. It is recommended to hire a guide provided at the entrance. 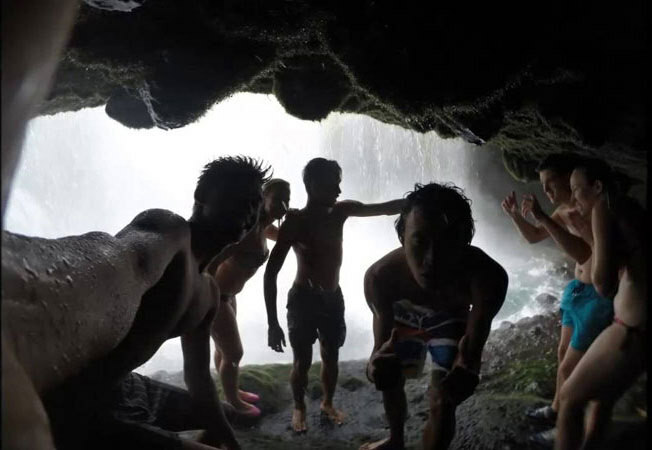 According to local myth, having a circulating bath in the waterfall will lead to eternal youth. The soft and flat pool bottom makes it suitable for visitors to swim in. 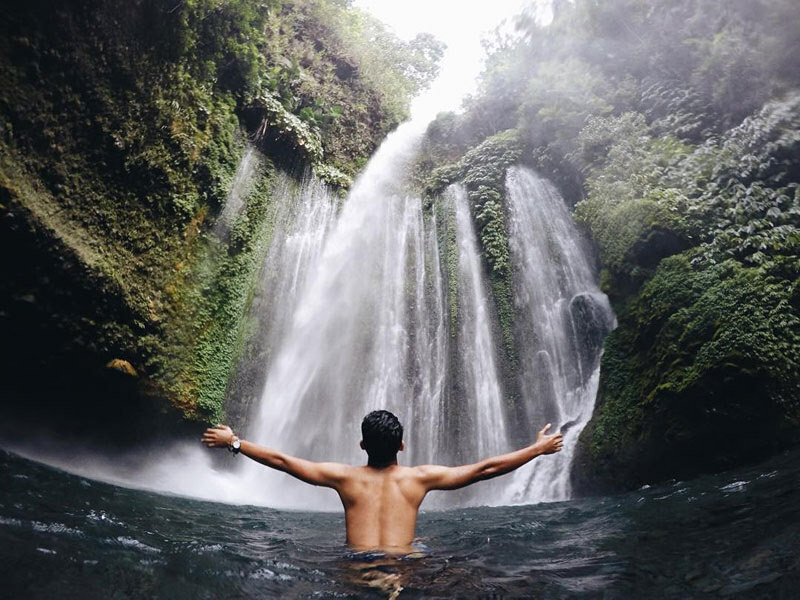 This waterfall is located in the area of ​​Mount Rinjani National Park, with the source water coming from Lake Segara Anak at the peak of Mount Rinjani. 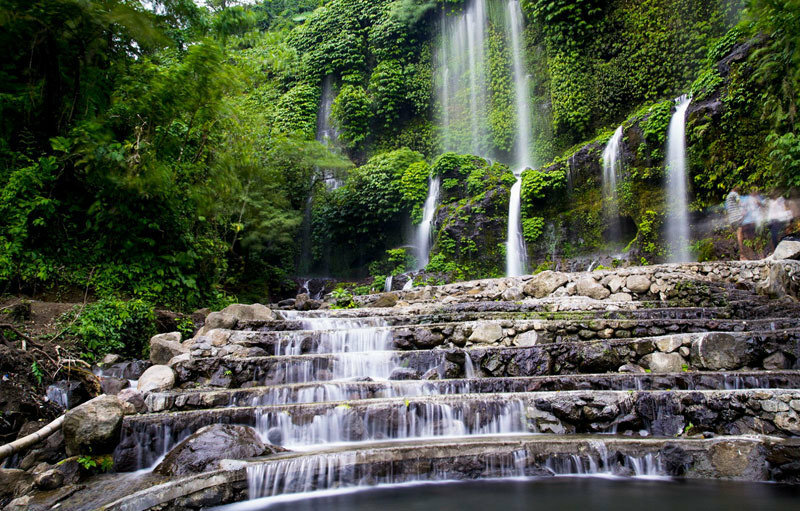 This covert waterfall lies between the villages of Gangga and Kerta Raharja in North Lombok. It is made up of three waterfalls. The ascent to the first fall may be a bit strenuous, but you will be rewarded by the picture-perfect views of rice fields and the distant sea. The second fall is a hidden treasure inside a cave and is located just behind the first. The third fall is seldom visited by tourists as it is located some distance away from the other two. You can also do soft trekking, and pass through trees of cocoa, matoa, rambutan, banana, coffee, and vanilla. Or climb up a treehouse and enjoy the lush view from the top! 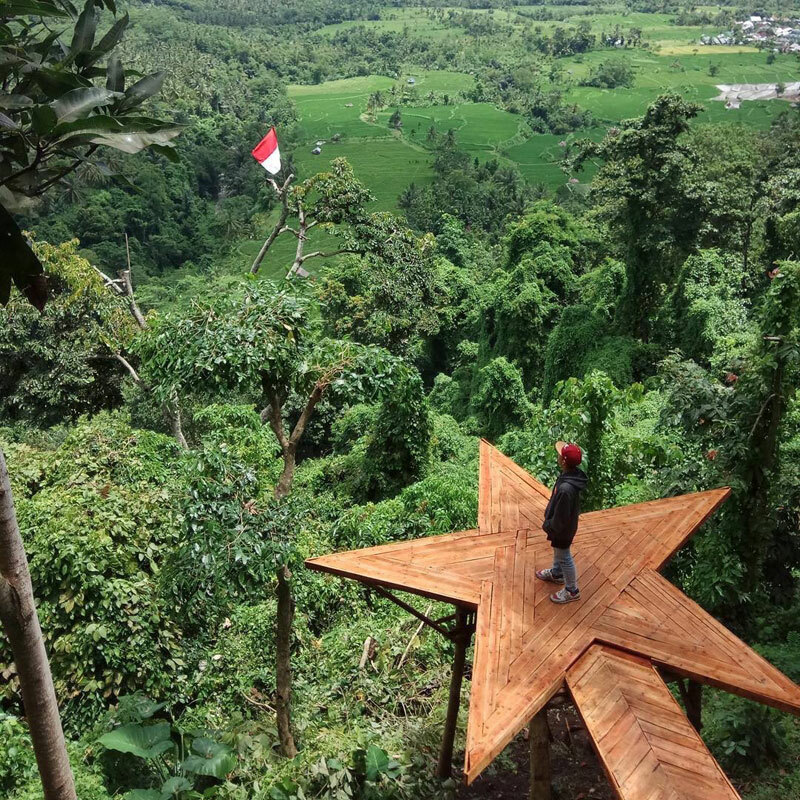 Directions to tree house: On reaching Genggelang, you’ll find signs to Selelos and Gangga Waterfall. Take the road to Selelos for 2 km and turn right in front of SDN 4 Genggelang. Continue your journey northwards on an unpaved path until you find a mosque. On the left side of the mosque, the road separates at a fork. Take the road on the right and continue to the cemetery. The treehouse is just 2 minutes away from the cemetery. 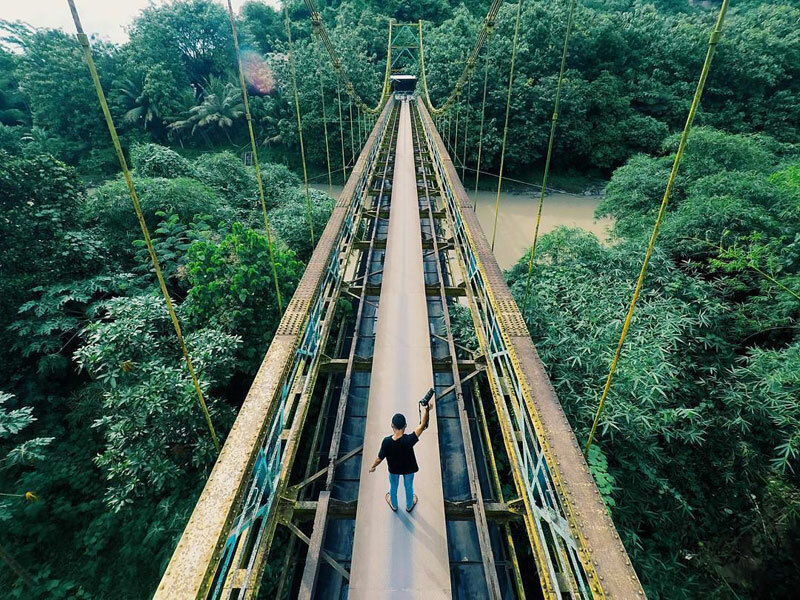 Built in 1932, this hanging bridge (100m high) in West Lombok carries its own legacy. For instance, the solid iron used to build it was sourced from Australia, the experts who built it were brought in from Java, and it has been broken twice after being hit by a stream! In its heydays, it played a pivotal role in connecting the remote areas before the roads came into existence. Today, it is only traversed by bikes and young people hanging out on a lazy evening. Under the bridge flows the river that connects hamlets Kelebut and Nyurlembang. Don’t lose your balance while passing through! 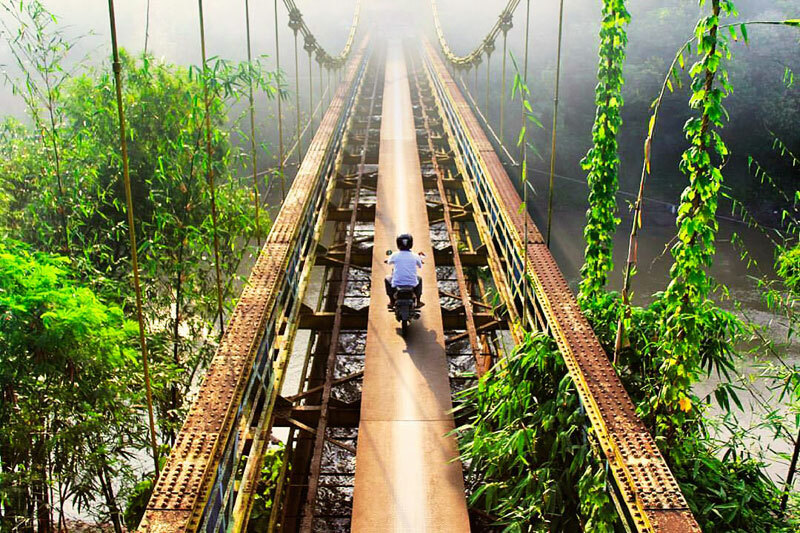 Getting there: It is located in Gerung region. 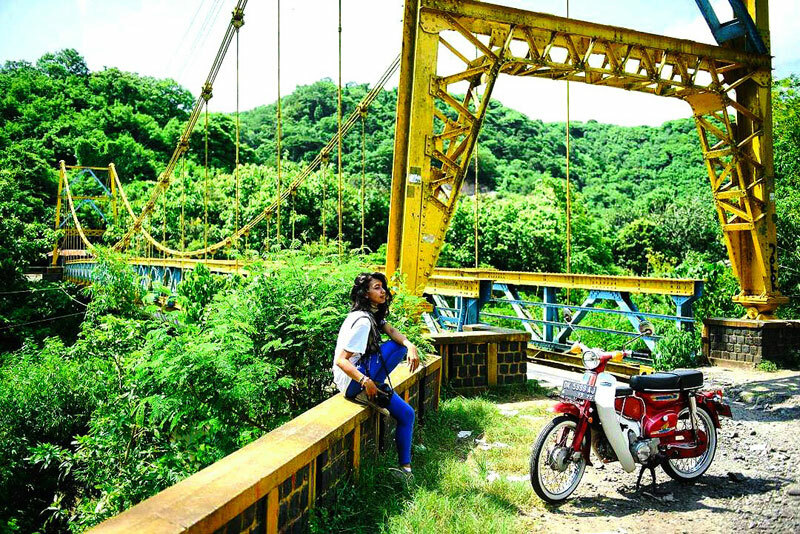 When going towards Kebon Ayu (a traditional hand-weaving village), you’ll cross this bridge from the main road. 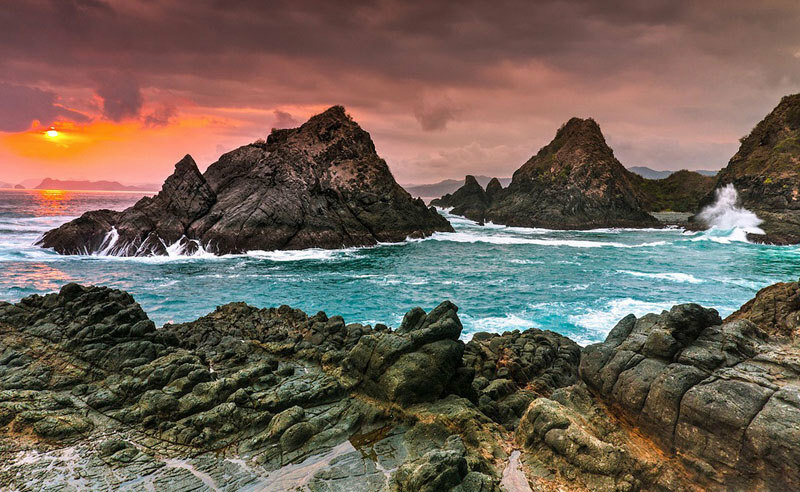 Don’t be swept away by the scenic tremendous waves – literally. 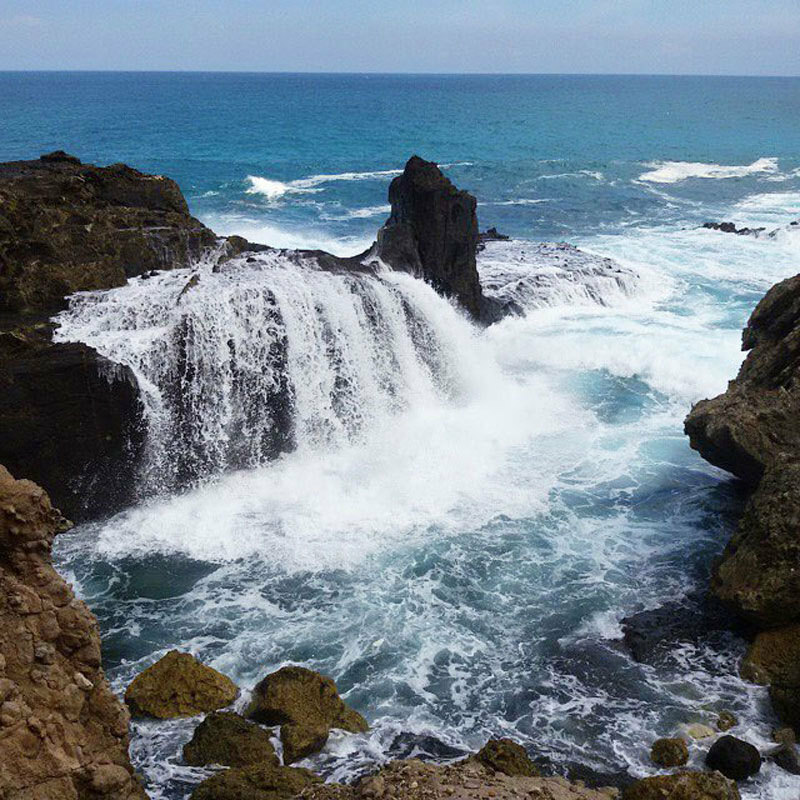 While being enraptured by this natural beauty, do remain careful and vigilant and not be hit by the waves. 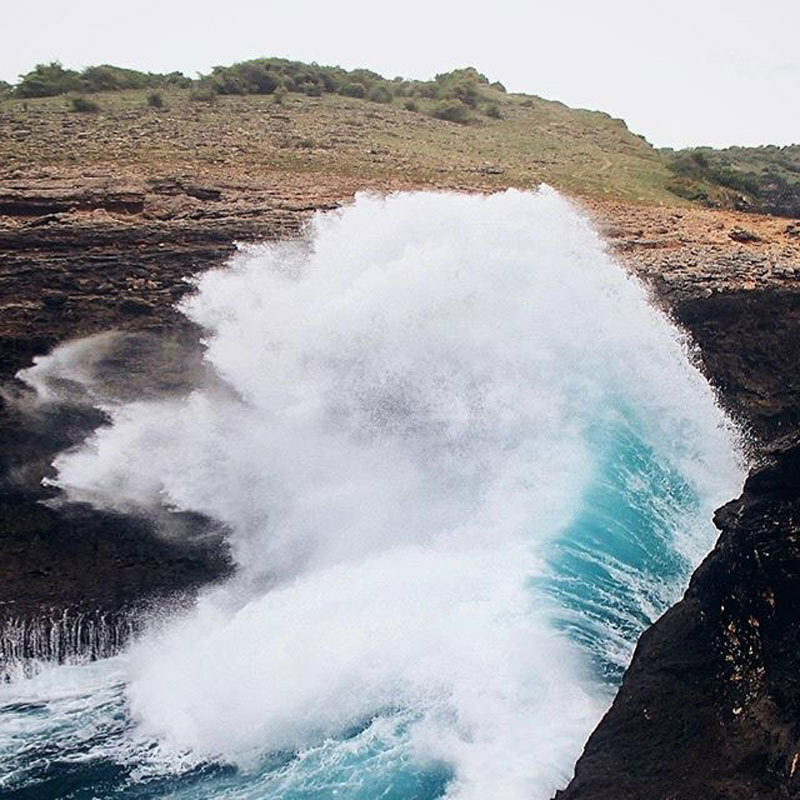 Waves at this spot are very huge and ferocious which create a blowhole effect. The waves can reach the height of tsunamis above 10 metres! The big waves make it unsuitable to swim, but you can still fish here. This is a popular location for the local fishing fanatics, and they actually have a weekly competition. There are other cliff rocks around the beach which provide photo-worthy opportunities. Check out this video by Loetfi too! Definitely not for the faint-hearted! Salty Niagara waterfall – this unique waterfall phenomenon is created by large waves crashing against the cliff rocks and falling like a waterfall. 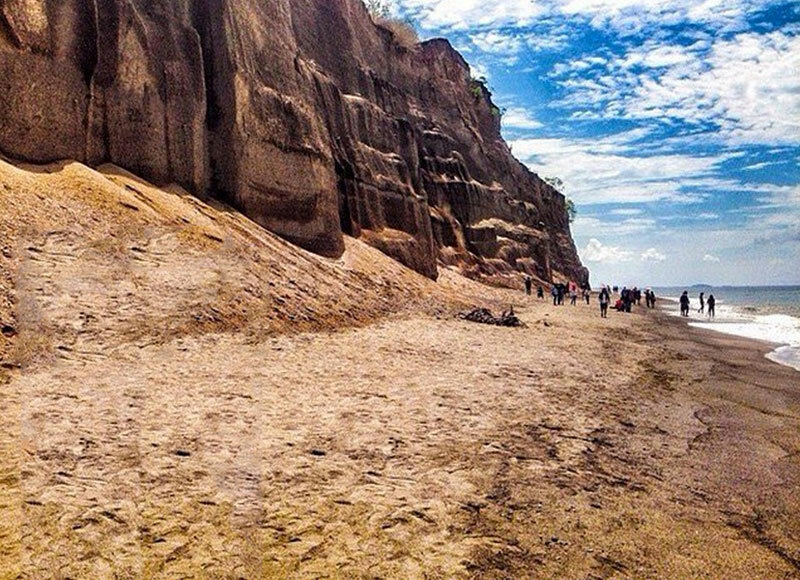 The best picture is when you are actually under the cliff, so be prepared to walk through the large waves with waterproof bags. You have to bring your own surfing equipment to ride the waves, and the crystal clear water also makes it lovely to swim. But take note – there are neither rental nor bathrooms facilities available at Nambung beach. 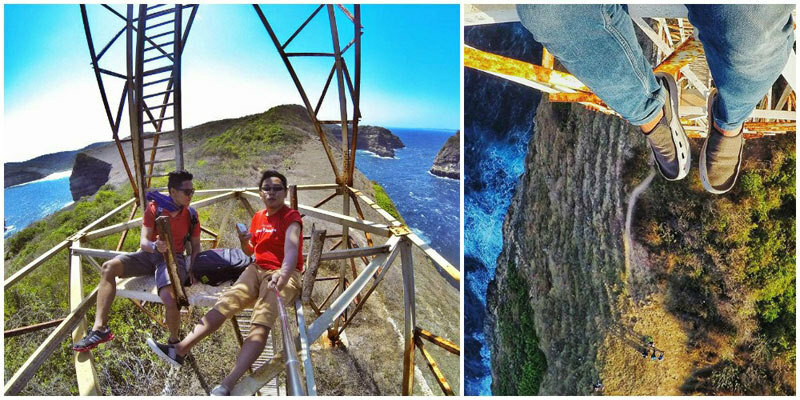 Be electrified by the sweeping panoramic view of the infinite sea – by climbing this platform that bears a resemblance to a power transmission tower. 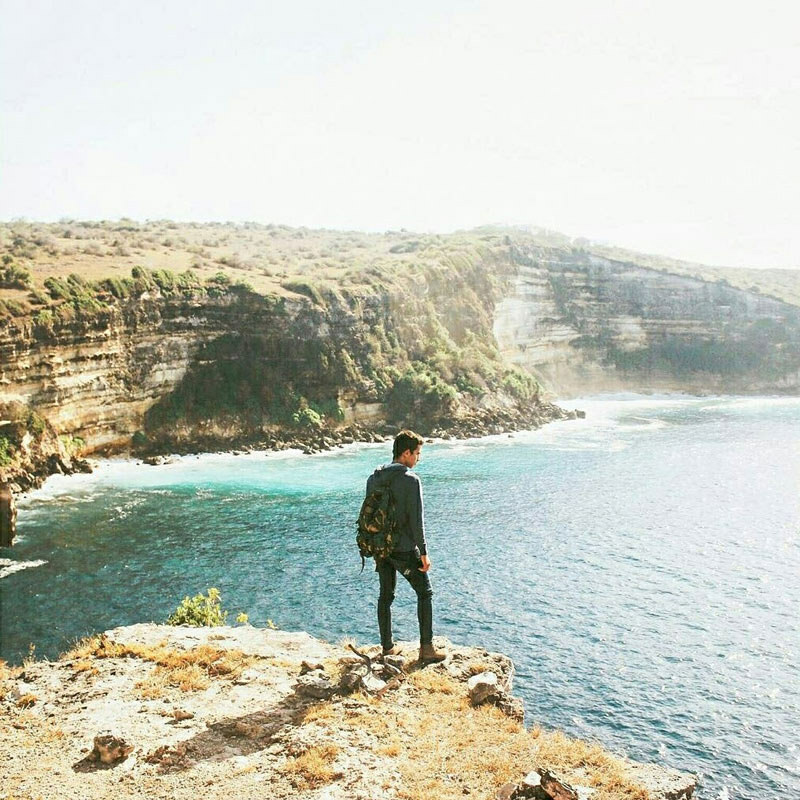 This viewpoint is located in Taman Wisata Alam, Gunung Tunak Nature Park. The natural rock trail is about 3km and the lighthouse is right at the cliff end. Strong wind makes the climb more stimulating and challenging. 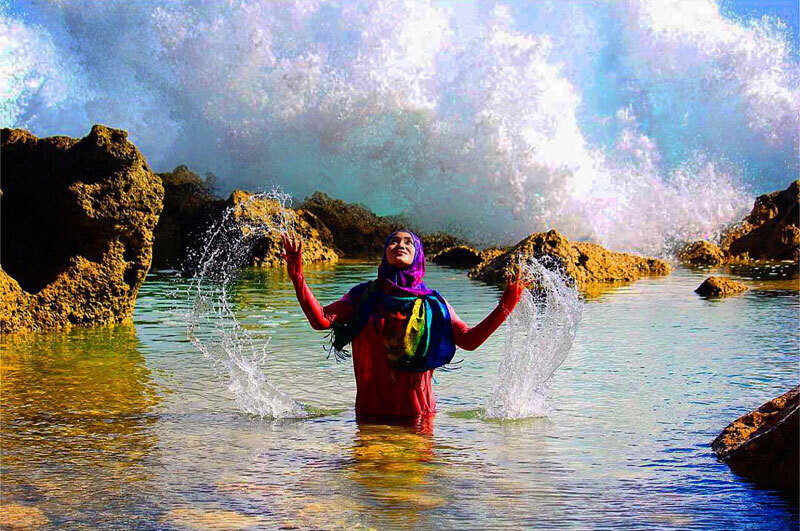 There are 2 beaches there which you can explore – Bilasayaq Beach and Ujung Tanjung Beach. Bring plenty of water and snacks, as there’s no food stalls around. 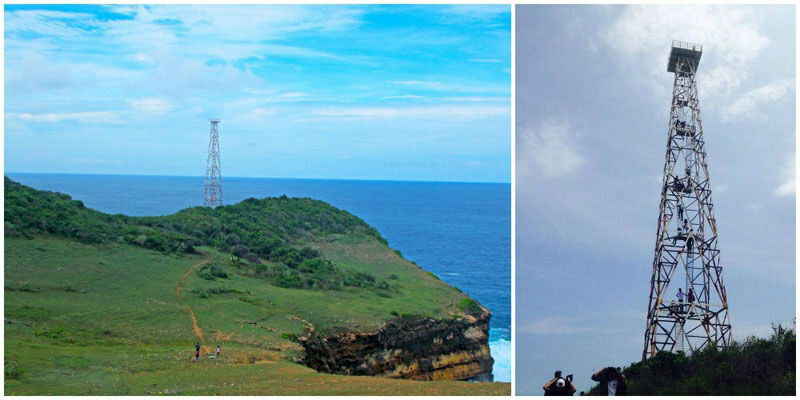 Address: Pantai Bilasayak TWA Gunung Tunak, Mertak, Pujut Nusa Tenggara Bar. 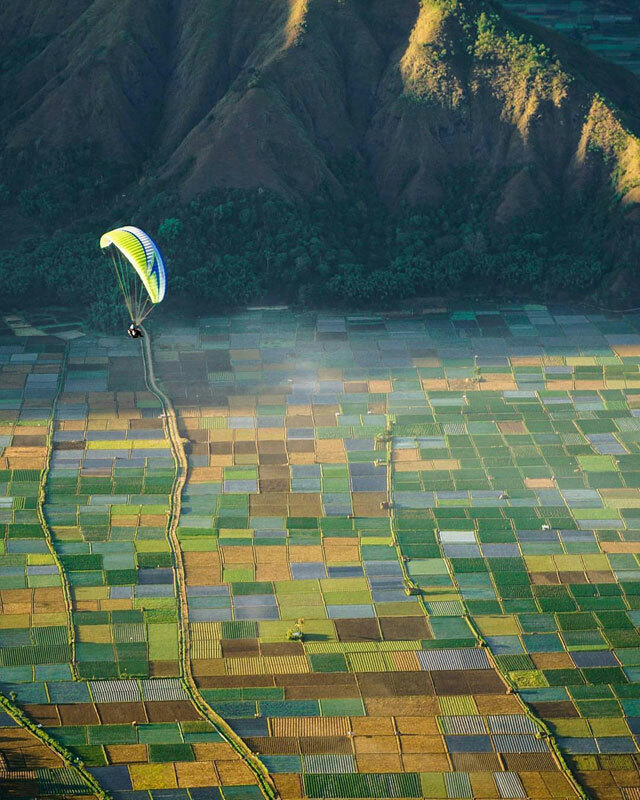 This stunning village at the foothills of Mount Rinjani will skip your heartbeat in an instant. 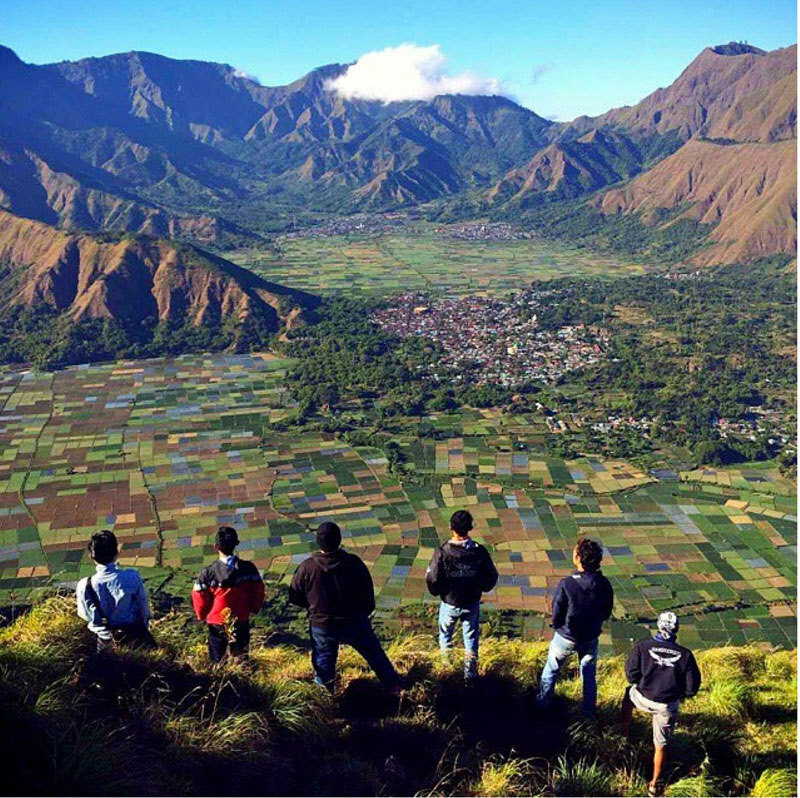 On your way to Mount Rinjani from Sembalun, this village will welcome you with grand mountain views and refreshing agricultural farms, making it a great stopover where you can spend a day or two. 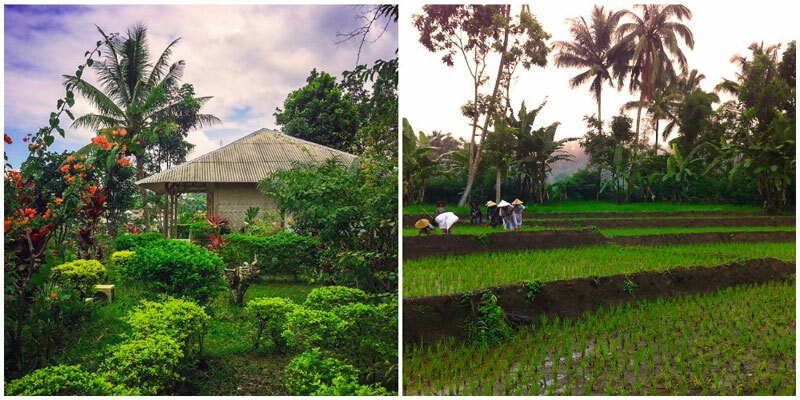 To have more genuine experience, you can opt for a homestay while getting accustomed to the traditional farming methods still used by the locals here. Getting there: Sapit is located in the district of Swela. On the road from Swela to Kali Putih in the north, it lies just 1 km off the main road. This is still an unknown beach, so not many people visit it. 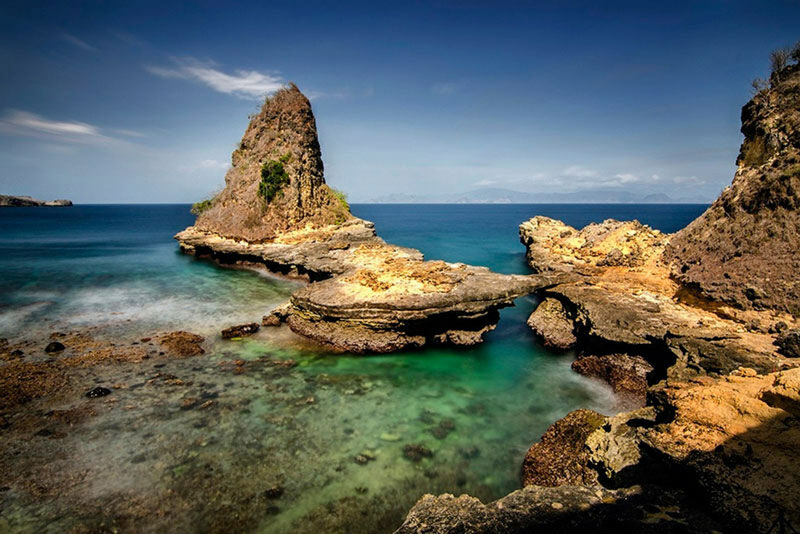 Located in Central Lombok, Jagog Dalem is a unique combination of rocks and hills. The striking feature of the beach is a giant sharp rock that stands in the waterfront. The coastline is very short and has relatively high waves, so swimming is not recommended. 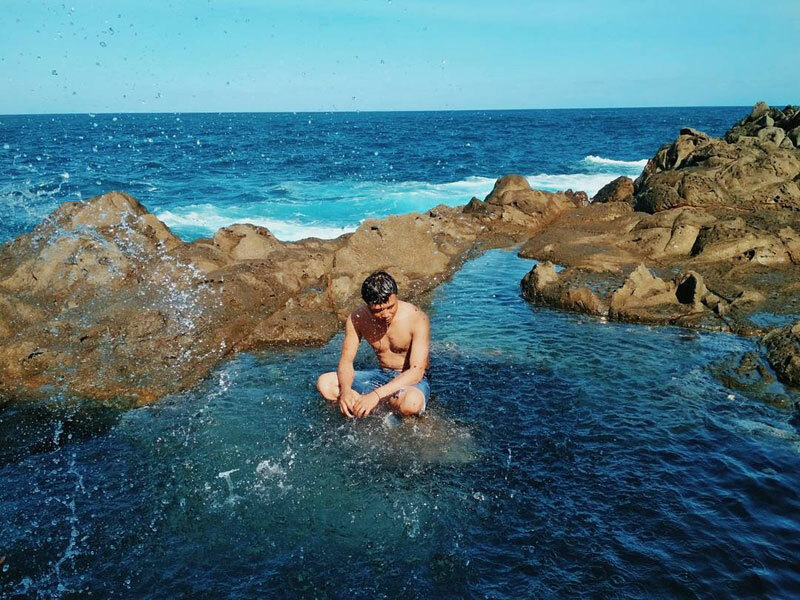 However, you can actually enjoy a natural jacuzzi here! 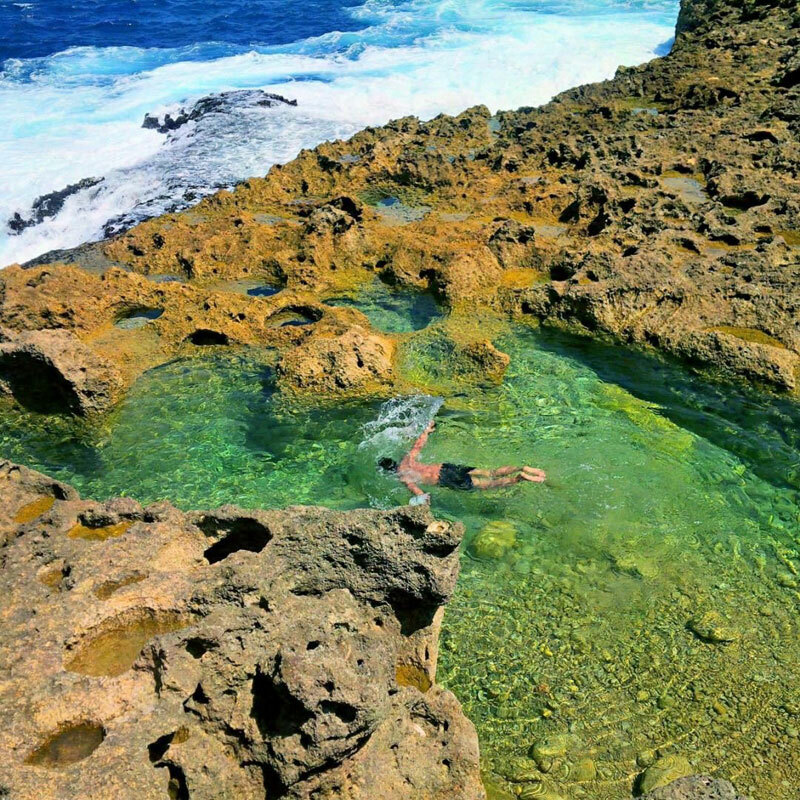 Spot this large natural pond, filled with clear fresh saltwater, with a depth of about one metre. Soak in your natural private bathtub with your friends while enjoying your favorite food. It is advisable to drive, because there is no public transport available that goes directly to the beach. There are parts of the Earth which do not seem to really belong; Pantai Tebing is one of them. It is an extraordinary borough unmatched to its surrounding. A fascinating beauty. This reminds us of the Grand Canyon and is definitely on the visit list! 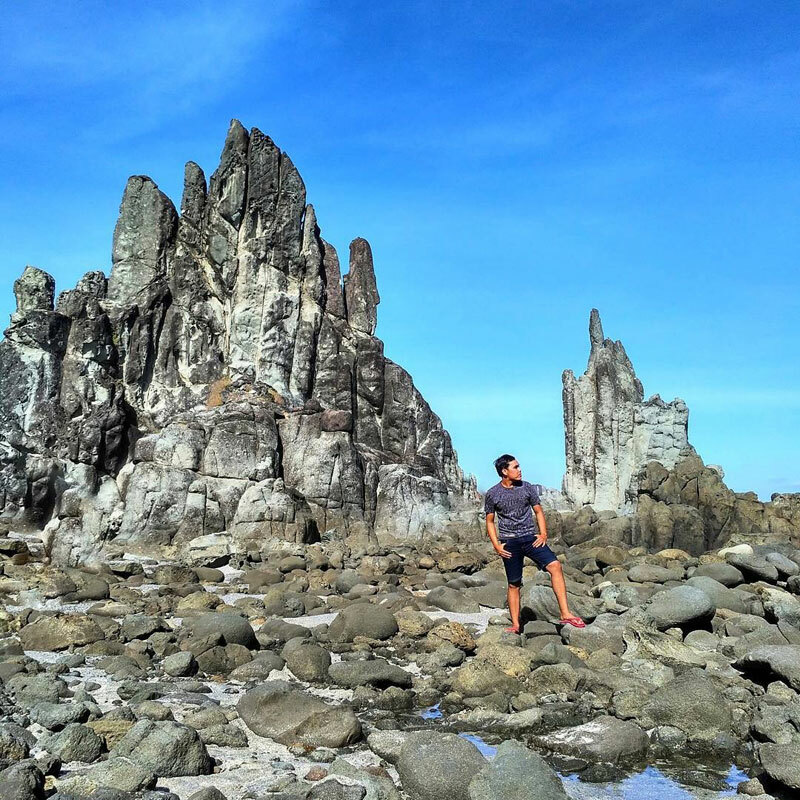 This unique rock formation was due to the eruption of Samalas/Gunung Rinjani Tua in 1257. Hot clouds of sediment containing fragments of coral resulting from the tsunami were deposited here. 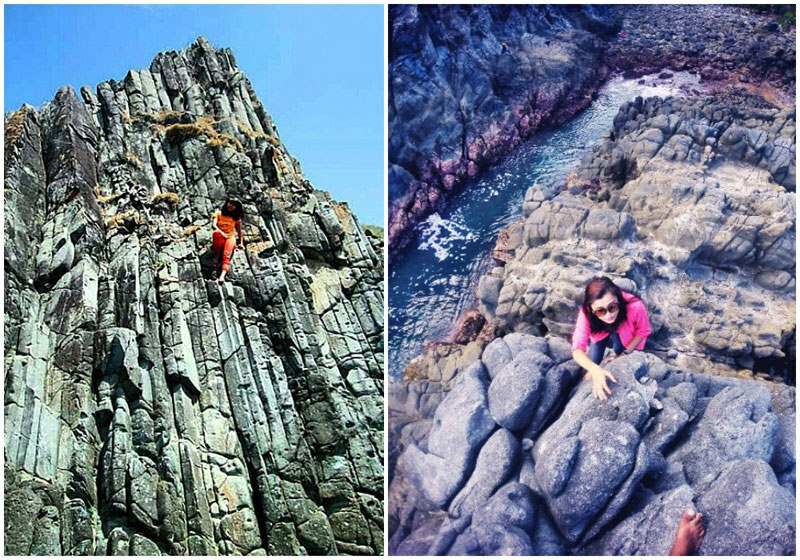 For the brave souls who want to attempt to rock climb the cliff, the limestone and rocks can be loose, so please do take extra precaution! Getting there: 1.5 hours, 80km from Mataram capital city to the location of Coastal Cliffs, look out for SMPN 2 Ganges. This solitary rock stands out like a sore thumb. It appears like an unearthly thingummy right in the middle of the beach. Batu Payung or the umbrella stone, it is impossible to ignore its existence but that is what makes it beguiling. The façade of this stone changes at different angles at varied times of the day, and it may appear like a human face. 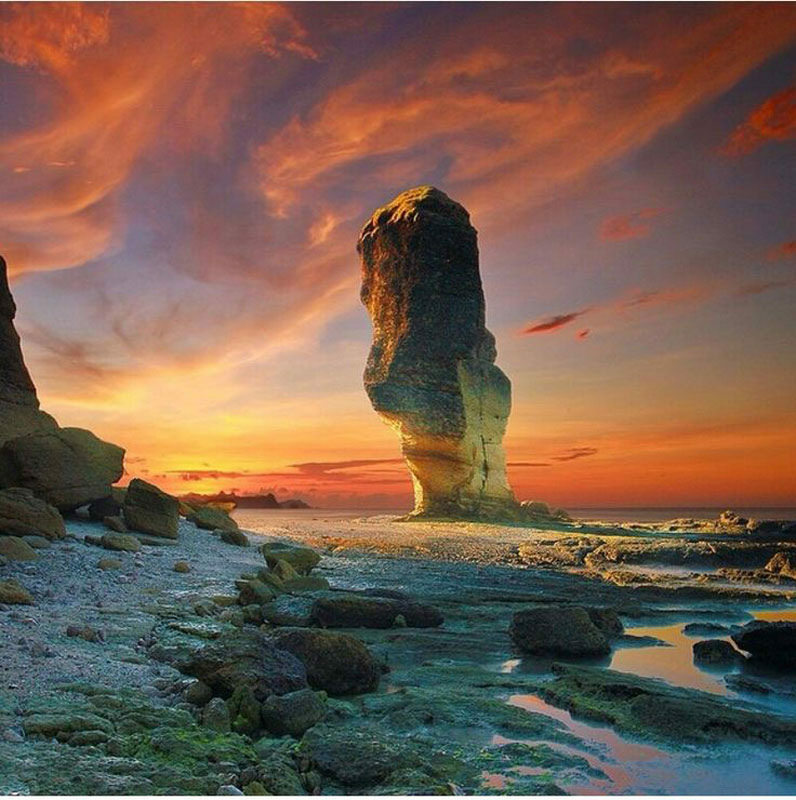 This stone is located approximately 1 kilometre east of Tanjung Aan Beach. 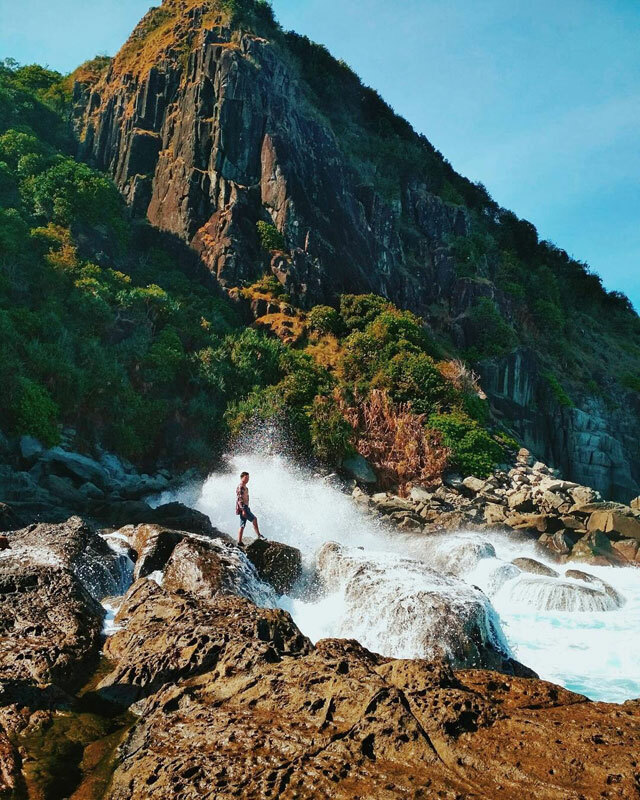 The walk to the Umbrella stone along Tanjung Aan delivers incredible views of the hills, and are inhabited by birds and bats. 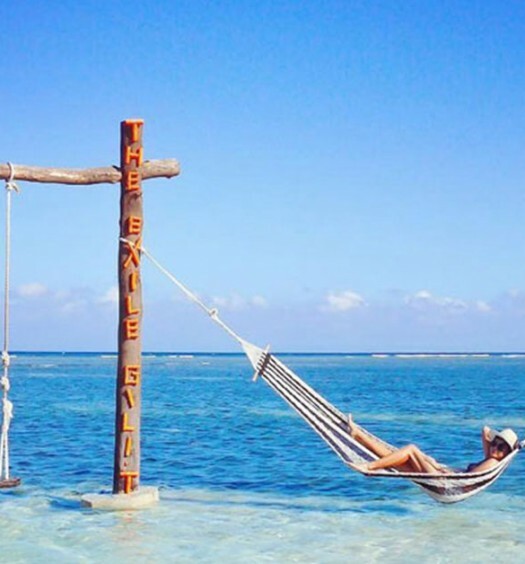 Address: Jalan Kuta Lombok, Kabupaten Lombok Tengah, Nusa Tenggara Bar. Angels must have missed this spot. 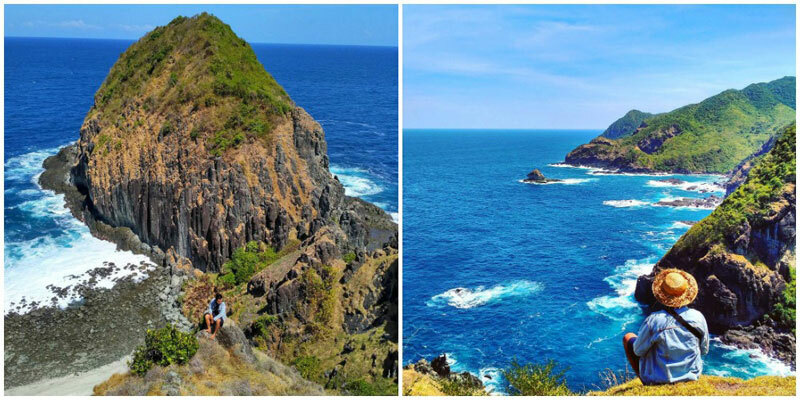 This natural beauty of flanking cliffs and rock stones that stretches beyond the coastline makes it exotic. It has stunning view of contrasting black rock with the golden cliff against the clear blue waters. 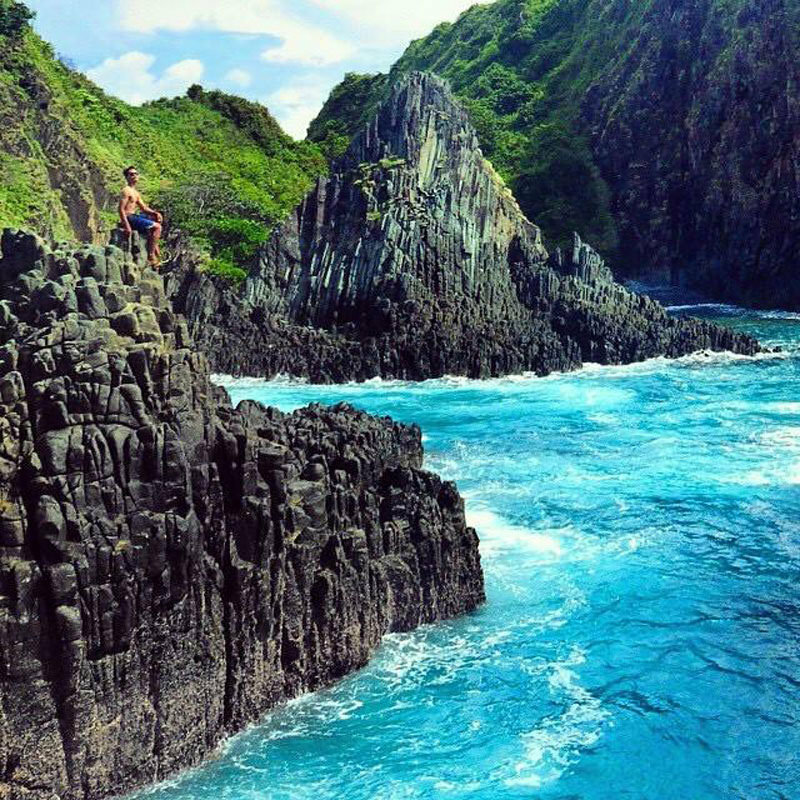 Tanjung Bloam is not easy to reach and offers challenging waves for surfing and swimming. 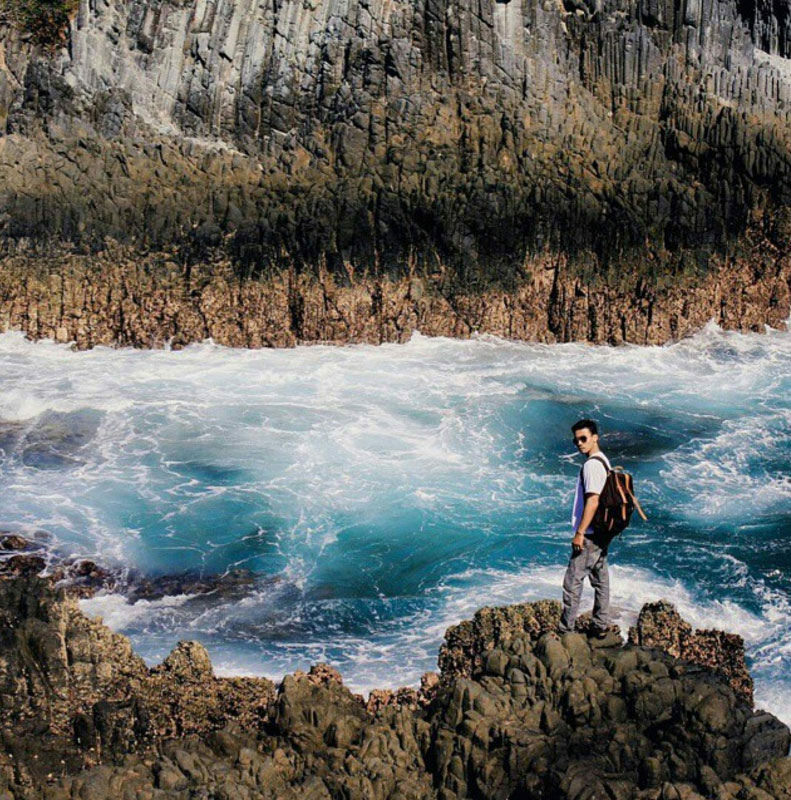 In order not to be a fool, waterproof your personal belongings and wear sturdy shoes, as the rocky path leading to the cliff is slippery and wet. Here’s also a Turtle Conservation area, so you might spot turtles on the beach or get to swim with them! 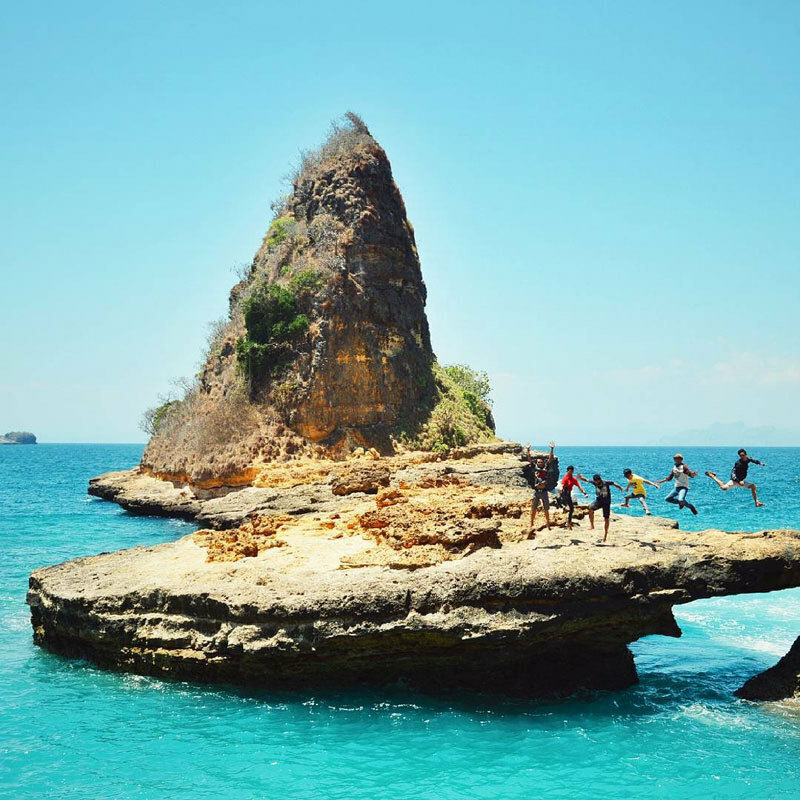 Getting there: The beach is located in the region of Cape Bloam Jerowaru East Lombok. It is 2.5 hours’ drive from Mataram. Prior to Tanjung Ringgit, turn right into a small street that is about the size of one’s car. You’ll find a mini pavilion 500 metres from the corner, indicating you have reached. There is no entrance ticket. You only need to pay parking fees of IDR 5,000 for one motorbike and from the parking lot, you need to walk less than 20 minutes. The path is quite rocky, so covered shoes are recommended. If you drive a car, park your ride on the main road since the path is quite narrow, after which you will need to walk about one and half hours to get there. Sekaroh is home to many beaches, including the famous Pink beach. 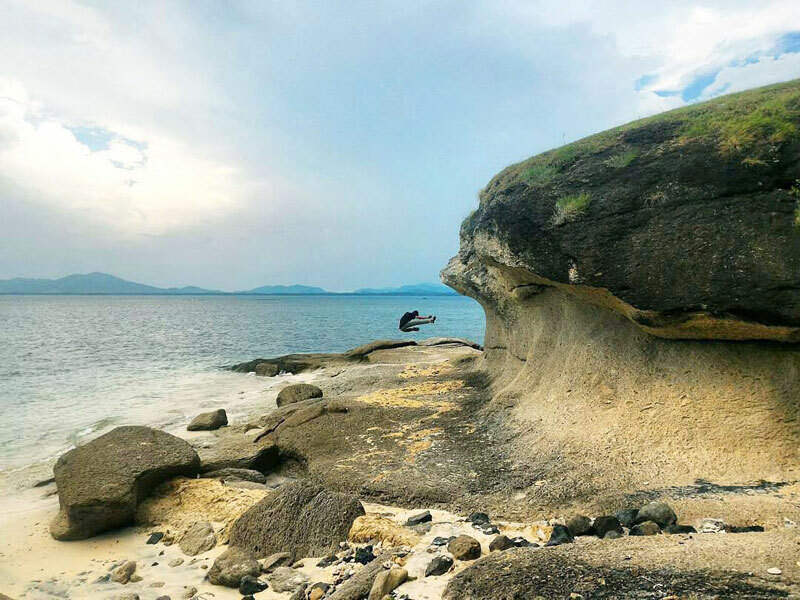 Due to its remote location, there are still few virgin beaches here yet to be noticed by many, and one of them is Antak-Antak. 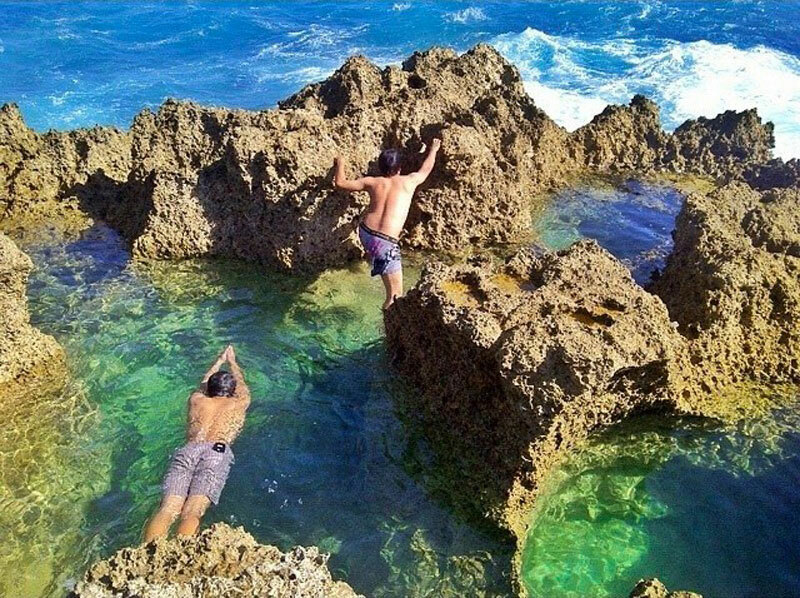 You can swim in the pools that have been formed naturally between the rocks. They are not very deep, but big enough for you to practise swimming. 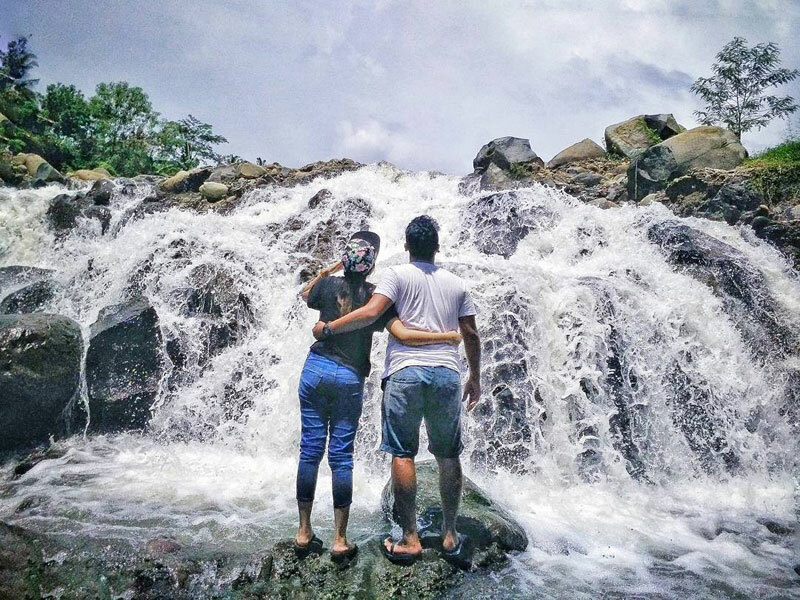 This waterfall gained popularity in 2015 but is still unknown to local tourists. 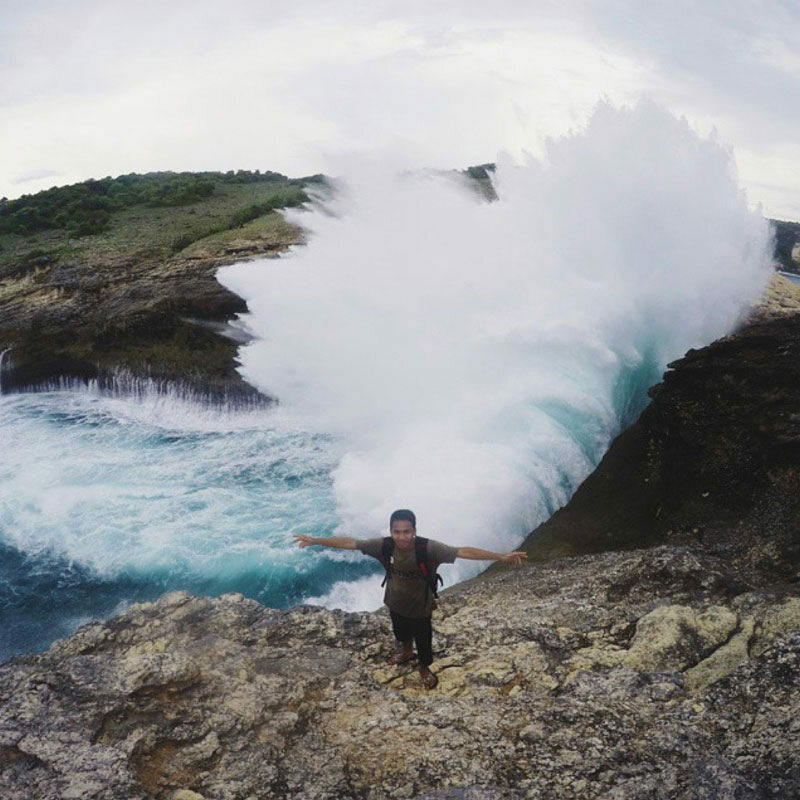 It doesn’t have an official name and is known as Burung Walet, Tete Batu or Swallow Falls. 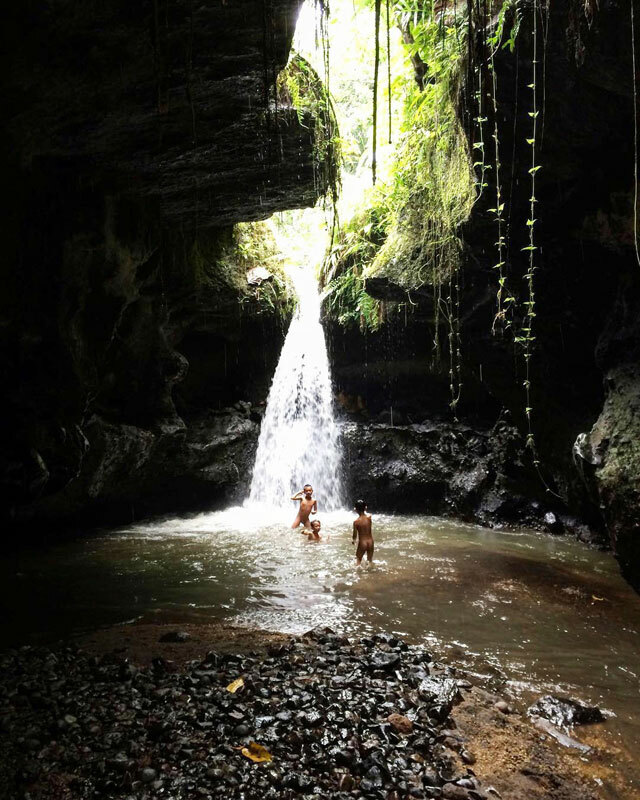 Located in a cave, the waterfall is about 100 to 200 metres away from the parking area. You’ll have to first descend the stairs to get to the river. 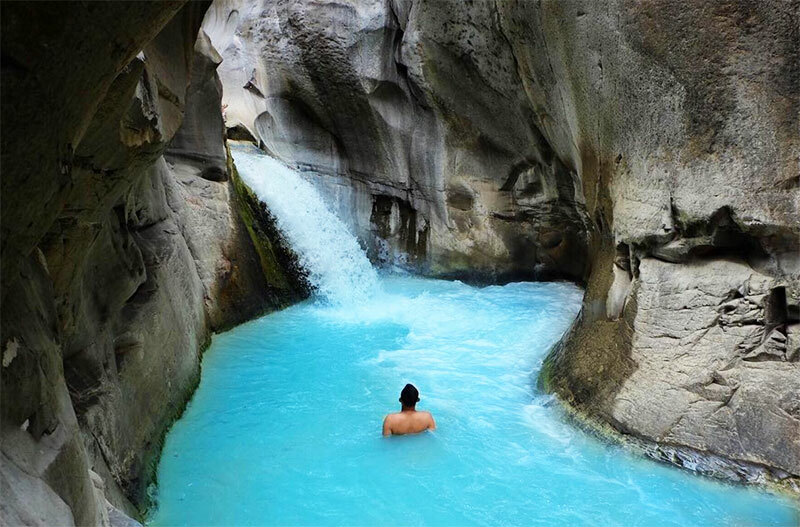 The water flows down to form a pool, so you can take a long bath in cold and fresh water. Getting here is not an easy task, so make sure you visit during the dry season, because the path could get slippery in the rain. 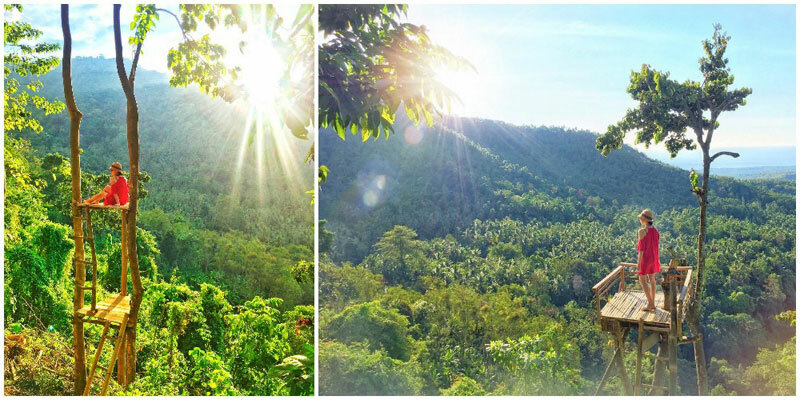 The secluded location will make you feel like ‘George of the Jungle’! 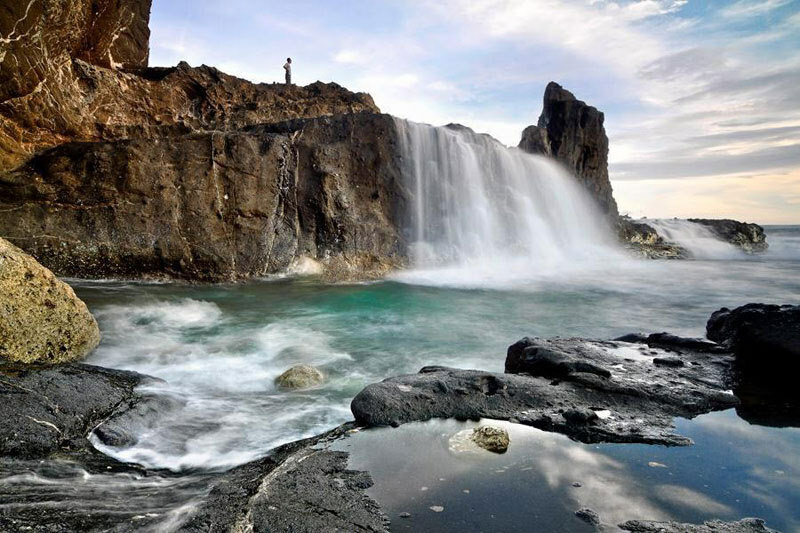 Getting there: The waterfall is located in Tete Batu tourism village in East Lombok. 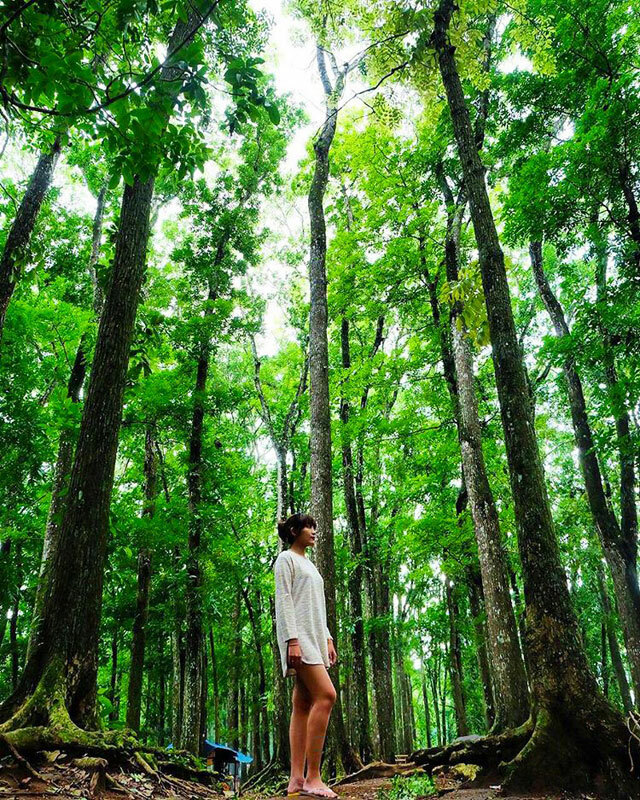 Sesaot is a protected forest area, of which 57% is natural. There is a Nyet Aiq river and more than 40 natural springs that flow through various parts of this forest. 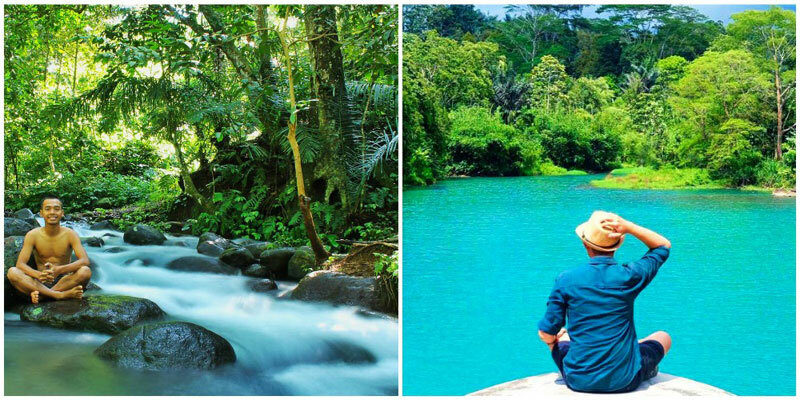 As the river flows from Mount Rinjani, it is considered sacred by the Sasak people. The forest is divided into primary, secondary and cultivation forest. Besides taking a leisure walk, you can also camp in the forest – a tranquil place where you can listen to birdsong all day long. The plantations here neutralize the pollution of nearby areas. You can even find durian trees that are hundreds of years old! There are a few food vendors, so you can take a break and relish sate bulayak, kale, chicken taliwang, and other regular Lombok food. 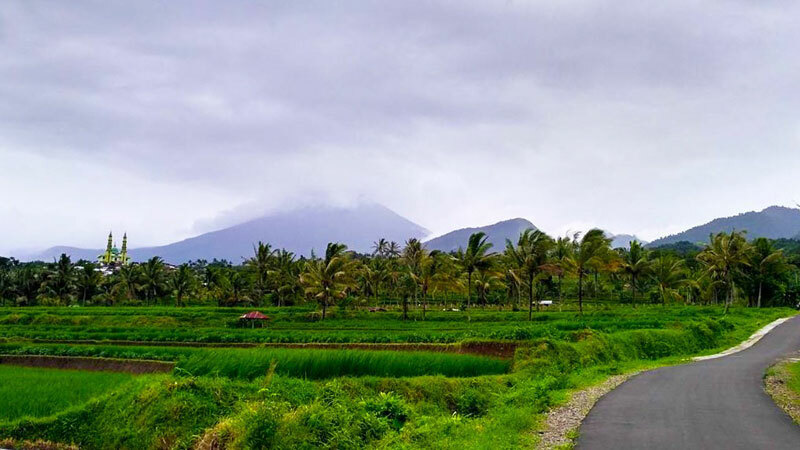 Getting there: It is located 5 km from the Suranadi temple in the Sesaot village. 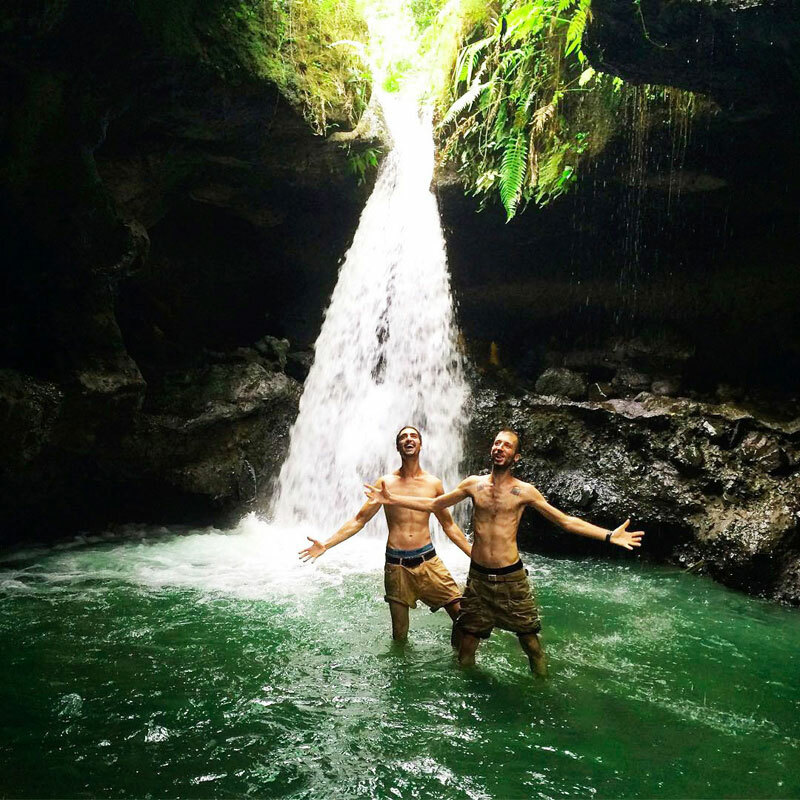 This magnificent waterfall is located in Penimbung in West Lombok. The irregular rocky formations and speedy flow of water gives this waterfall its exotic appearance. Celebrated with different names, this waterfall is best known for its feature of splitting rocks. 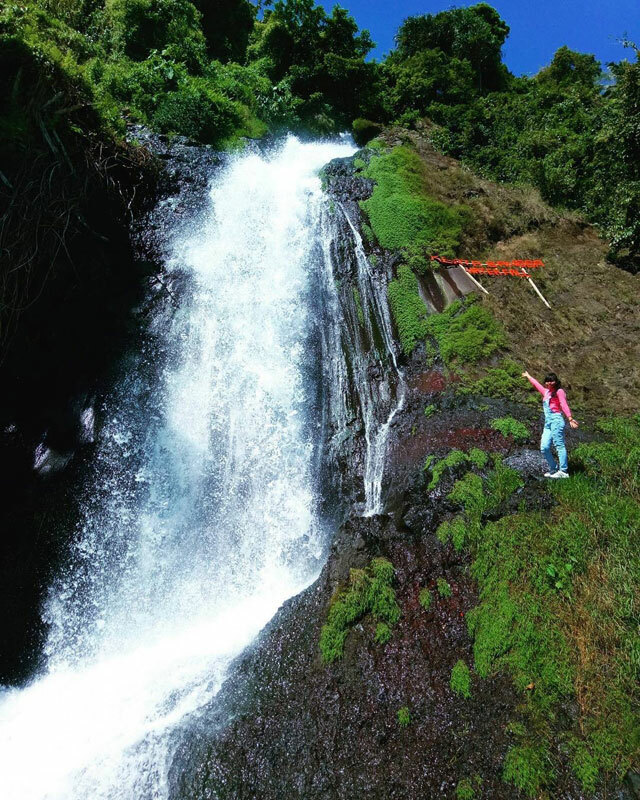 The water flow can be best enjoyed during the rainy season. A great spot for honing your photography skills. This is a secluded beach where blue water meets the soft red sand. 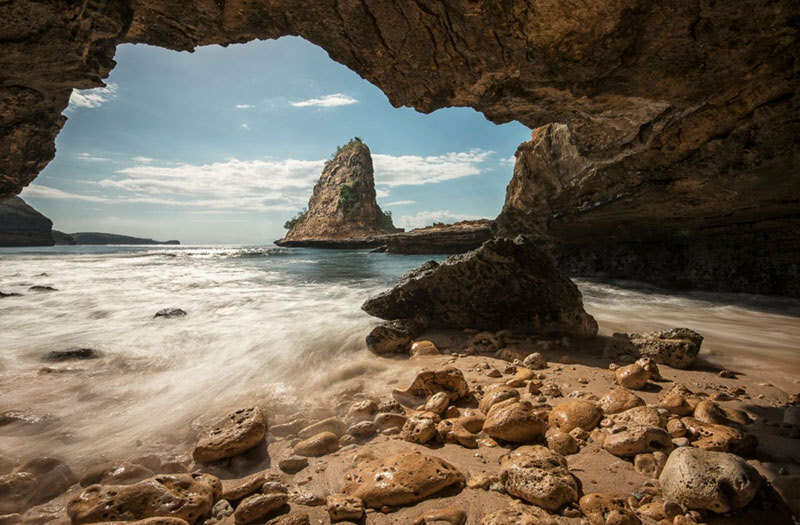 As a nearby cave is inhabited by the local porcupines, this place is also known as the Porcupine cave beach or Hedgehog beach. There stands a striking hill naturally carved into the form of a big wave, and you can do cliff-jumping there or sleep under its shade! With two temples, the beach is also a place of worship for Hindus. If you are spending some time on the beach, it’s better to bring your own food and drinks, as there’s no stalls nor parking lot. Make sure you bring a sturdy vehicle to drive on the uneven terrain. Getting there: The beach is located in Sekotong. From Mataram, it takes around 1.5 hrs to reach here. Take Mataram-Labuapi-Gerung-Sheet-Sekotong underpass, once you enter Sekotong Barat you’ll find a white signpost on the right side of the road that reads ‘Bandar Sri Pura Agung and Temple Goa Hedgehog’. Follow the instructions and you’ll be at your destination in 4 km. 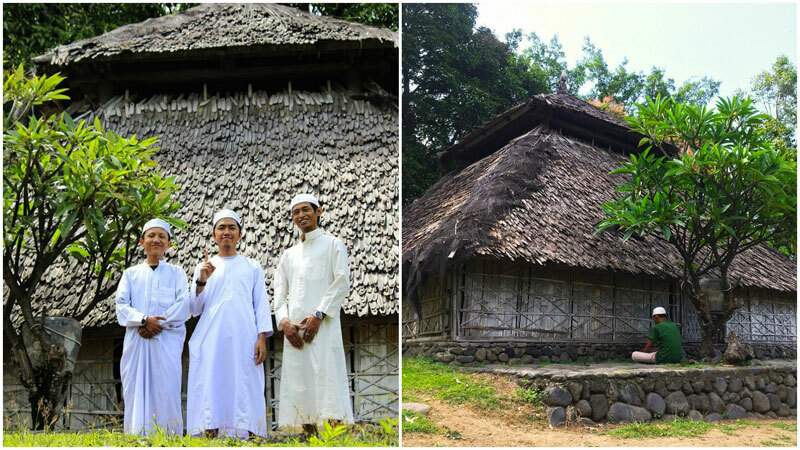 Dating back to the 17th century, Beleq Bayan was the first mosque built by the locals in Lombok when they embraced Islam. The mosque is not used for daily prayers now but has become a historic symbol in the area. The structure of the mosque is unique in itself. It is constructed using natural materials – timber, woven bamboo, wood of jackfruit, clay and palm sugar, so locals have to maintain it every six years. The shape of the roof has Hindu and Javanese influences, which had been part of the locals’ lives before Islam. The four pillars consist of decorations in the shapes of fish, bird, dragon and more, and each has its own symbolic significance. In the mosque, there lay the tombs of two Muslim missionaries. 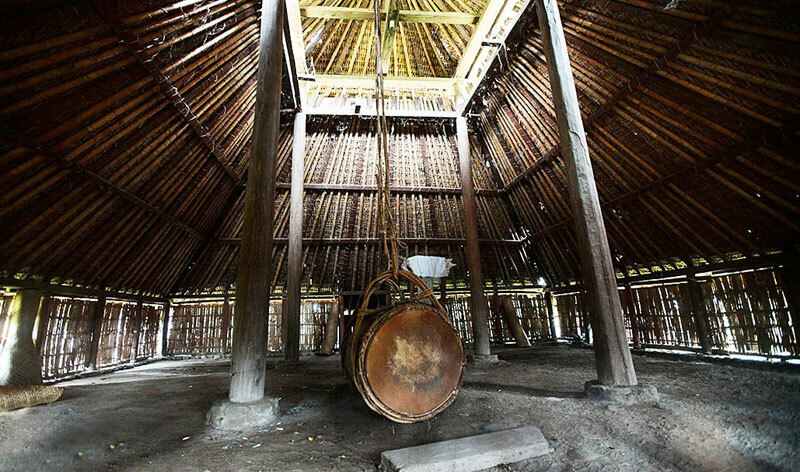 There is also a bamboo drum which was used for communication in the past. You’ll be required to wear the traditional Sasak dress if you are visiting during any Muslim festival. How cool is that! Getting there: Bayan is about 85 km north of Mataram. Once you reach the village, the mosque is located 1 km east of the junction along the road to Senaru. 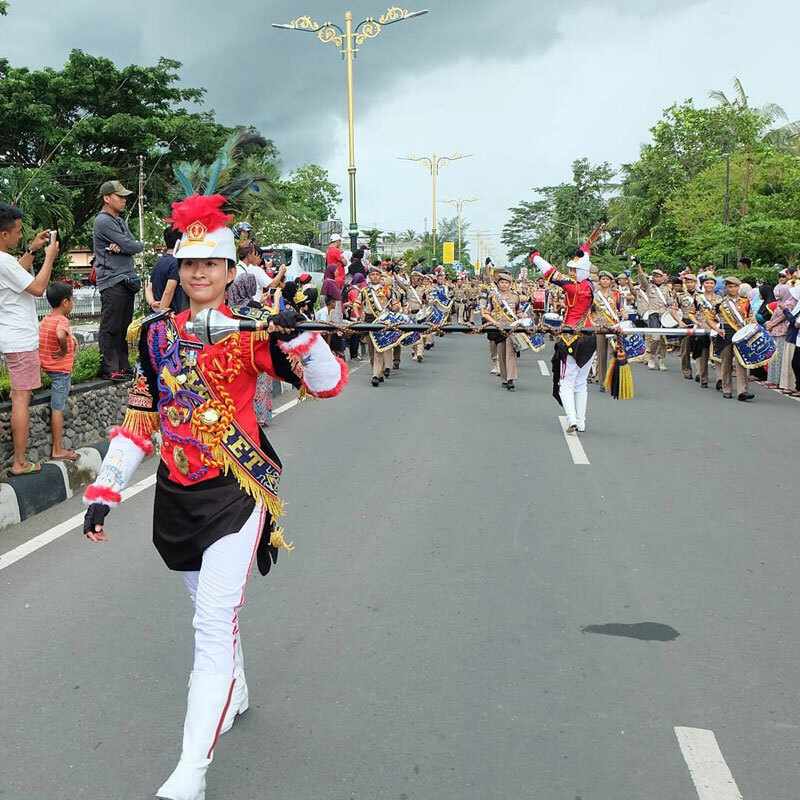 A 16th Century tradition celebrates the legend of ‘Princess Mandalika’, the daughter of King Tonjang Baru, ruler of a prosperous kingdom in South Lombok. According to the story, many princes from different kingdoms wanted to marry the princess, and this resulted in strife amongst them. To prevent further discord, the princess decided give herself to everyone rather than to just one person by jumping in the sea. When people tried to save her, their fingers got entangled with Nyale worms, which they assumed were her hair, hence Bau Nyale (which means ‘to catch worms’) is the name given to this festival. 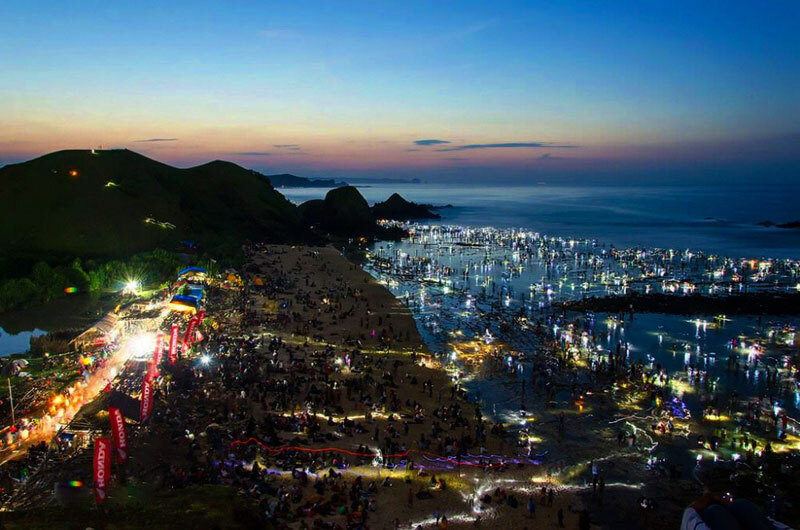 The annual celebration occurs between February and March, mainly on Seger beach but extends to Kaliantan and Kuta as well. 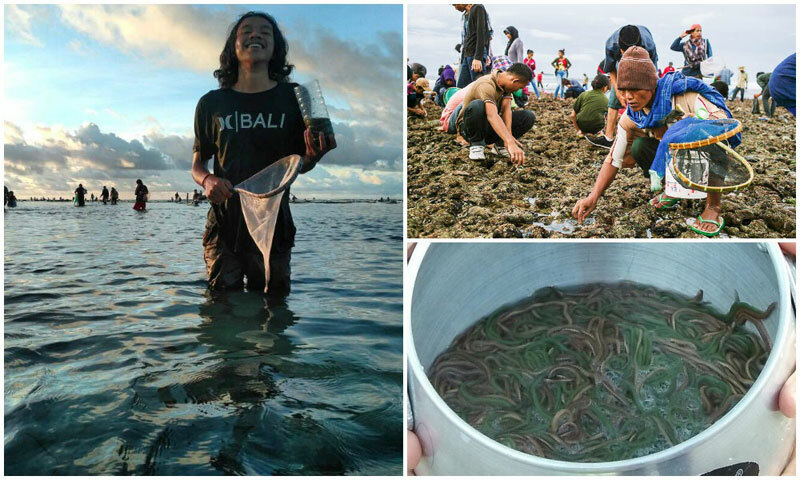 During the event, festivities include catching worms, giving souvenirs to your loved ones and singing folk songs. 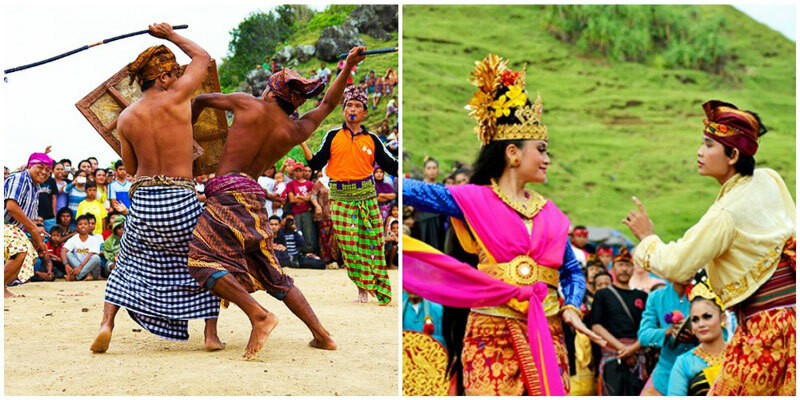 You can also catch theatrical dance and music drama that tells the legendary tale of this festival. Share this story with your friends who are seeking for adventures in places less travelled! 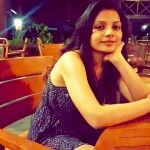 A high-spirited soul who ditched​ ​her corporate job to discover new adventures and make a new life out of her passion – travel. She speaks for​ ​Experiential​ ​&​ ​Alternative tourism and is working on bringing it within the reach of urban travellers. She believes travelling is also a responsibility to change the perspective of people about other countries. Follow her on Instagram and Twitter @thesailingbee.